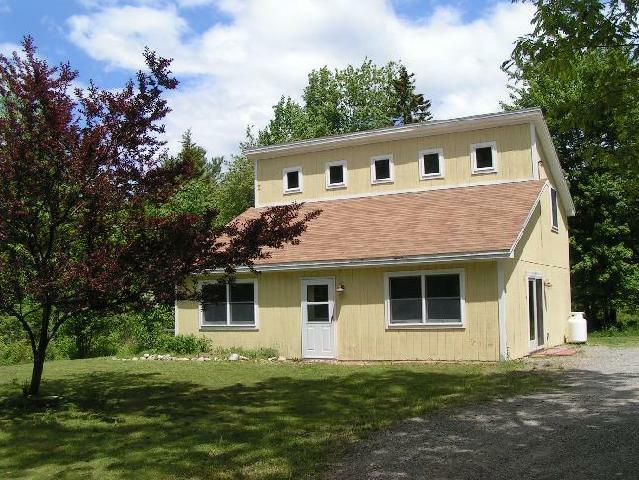 Nice home and gardens, 16x24 barn, two car garage, heated in-ground pool with cabana, all on a 1.84 acre parcel. 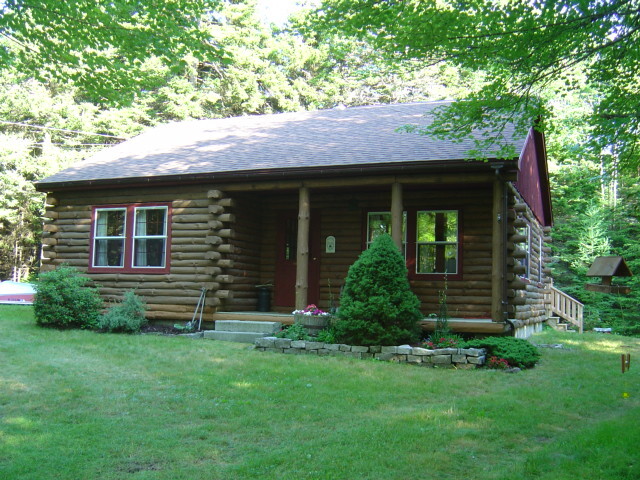 Country setting close to Silver Lake and hiking trails and just three miles from the downtown shops and the waterfront. Kitchen, pantry, dining room, office (potential small bedroom), bath with shower, mudroom. Upstairs living room w/gas fireplace, bedroom, master bedroom with walk-in closet and a full bath. Great Harbor Condominiums - one bedroom first floor unit up For Sale. There’s a nice living room, kitchen with open serving window, bedroom, and a full bath. A great getaway, home or rental. 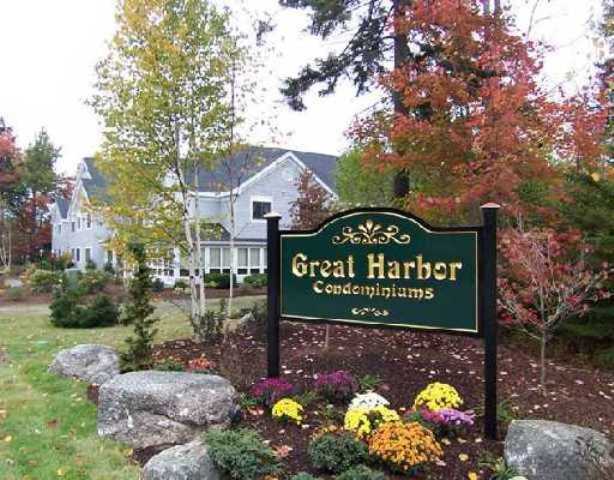 Plus all the amenities of Great Harbor Condominiums: large multi-function room w/kitchen, small fitness room, elevator, garden patio w/gas grill, paved parking, security building… more! Great Harbor Condominiums - Rare two bedroom unit up For Sale. There’s a nice living room, galley kitchen, separate dining nook, full bath, and your own laundry room. This corner unit also provides extra sun-filled windows. Custom built home with many outstanding features. As you walk up you notice the white washed brick & covered patio, when you step into the entry the sunny gourmet kitchen draws you in with Lacanche gas range, warming & steam ovens, subzero Refrig, African black granite, tons of storage.. the openness to the dining room adds to the appeal. The covered patio opens to the roomy living room. A half bath with laundry & lots more storage complete the first floor. Upstairs is the master bedroom with its own bath with roomy walk in shower: two other bedrooms, a bathroom & reading nock. The 3rd floor has an additional finished room & a large attic storage space. BONUS: sweet guest cottage with full bath (not counted in rooms or square footage): AND MORE:24 x 40 1.5 story heated out building perfect for studio: custom design shop: dance studio...whatever you may need, also has 12x40 1 story storage office space & outside stairs leading to all the great storage or work space upstairs. Horse lover wanted! 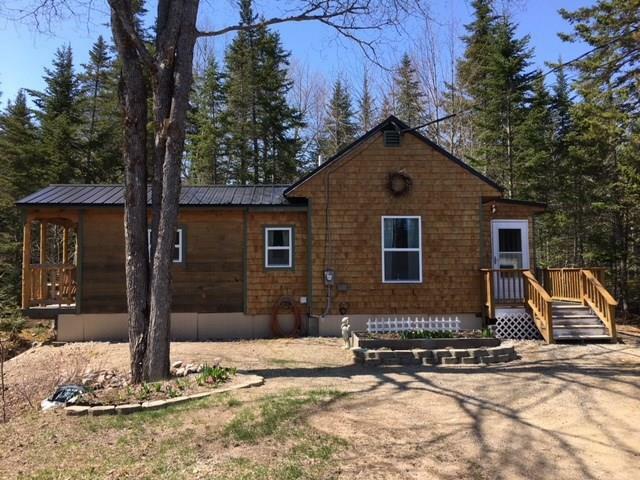 Saddle up and enjoy the easy access to the carriage roads, and live the dream surrounded by the beauty of Acadia National Park. 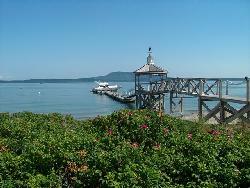 Nestled in the village of Seal Harbor where you can stroll to the beach to soak up the sun or search for sand dollars. Popover to Jordan Pond House for popovers or onto the many hiking trails. 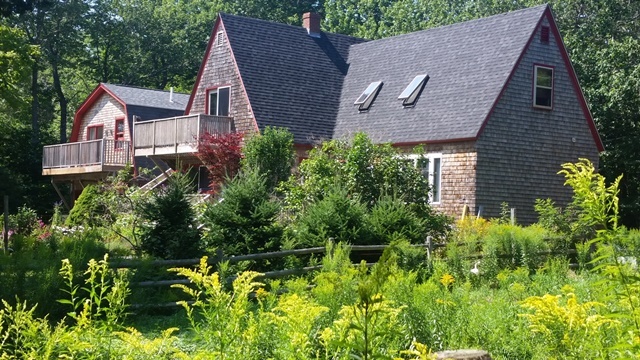 This three bedroom house also has an in-law/guest apartment, color filled perennial gardens, and of course a two stall barn and pasture for your horses. Love older homes? Here is a former sea captains home ready for your inspiration. Looking for a rental? Currently a nice weekly rental that accommodates ten. 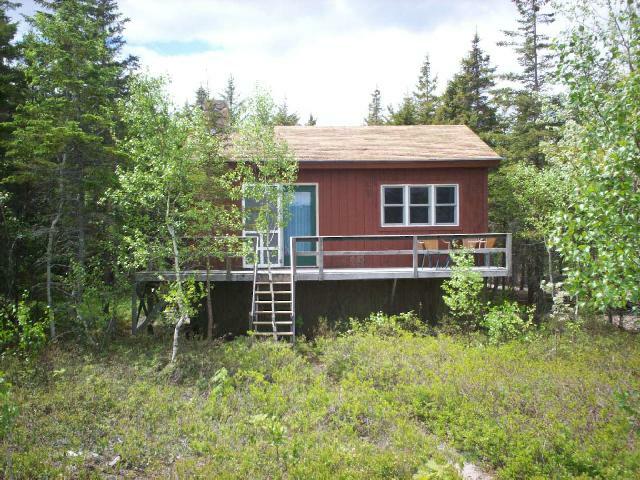 All these options right in front of the Manset Town Dock for ocean access and with views of the harbor and the mountains of Acadia! 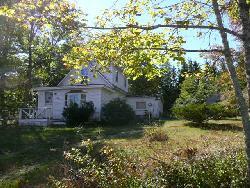 Spacious older home in the middle of the village of Somesville. First floor has a large kitchen with separate breakfast area, living room, den which opens to screened porch, dining room, and a bath with shower. Upstairs are four bedrooms and a full bath. Additional seasonal second floor bedroom and bath with shower above the garage. . Nice yard space, on the Island Explorer Bus Route. Join the Somesville Town Landing for ocean access. Lake access at Long pond 1.7 miles, Somes Pond 0.9 miles. 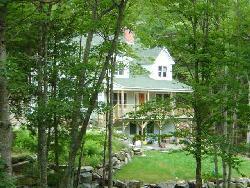 Such an ideal, central location for life on Mount Desert Island and exploring Acadia National Park. Whether you’re looking for a year round home or a vacation home this is a must see in Northeast Harbor. This intown location is just minutes from the harbor/marina, hiking trails, library, school, shops...all the town has to offer! 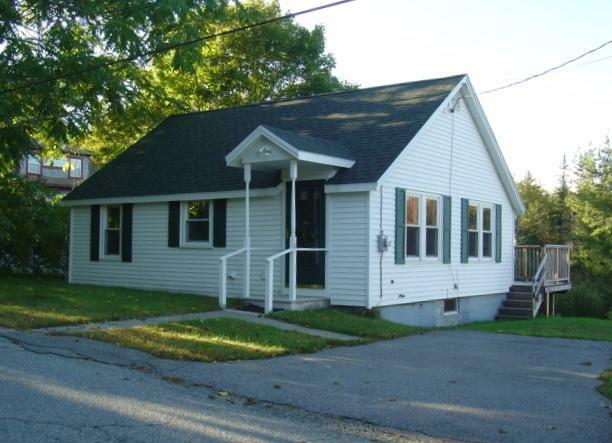 Additionally this three bedroom home features a spacious living room and a large backyard! Check it out today. 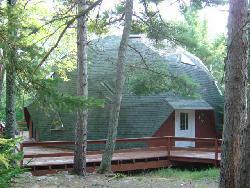 You drive by and never see the wonderful sun filled art studio this property has. Built in 2011 for a well-known local artist it offers office/salesroom, 2 story wall of glass studio; ½ bath, 2nd fl balcony dining, kitchen, liv rm/bdrm, full bath and deck. The vintage 1940’s cape offers a sitting rm, den, dining rm, kitchen, large rm (currently bdrm), full bath. Upstairs a bdrm & full bath. Garage, nice plantings, plenty of parking, add to the appeal of this artist retreat or two unit home. 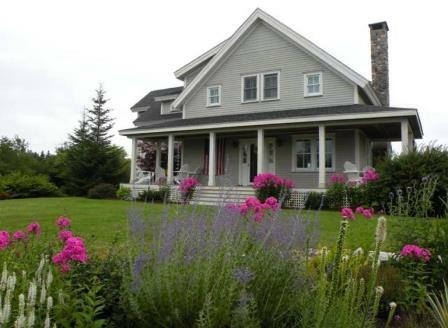 Sea Mist a charming Maine farmhouse that invites you to "relax a while". 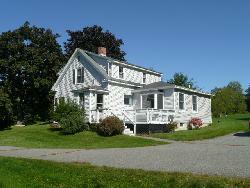 Year round home currently a popular weekly (4 bdrm, 2 bath) vacation rental with attached 1 bdrm carriage house. Near Acadia’s Bass Harbor Head Lighthouse, Swan's Island Ferry, 3 miles from intown Southwest Harbor. Close enough to Bass Harbor that the sea mist does come by to visit. 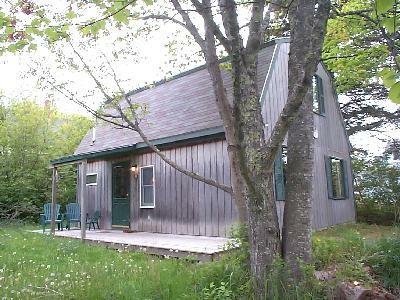 This cottage offers a place to call home, whether year round, seasonal, or for vacation rental. Wood floors throughout with a roomy living room/dining room opening to back yard. kitchen, first floor bedroom, and bath, with two more bedrooms and a bath upstairs. 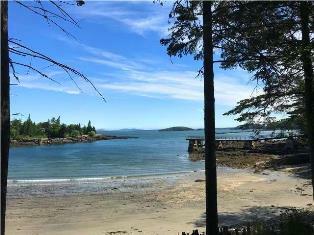 Manset is a hidden gem with a mix of residences and boat businesses, grand homes and cottages where you can stroll the harbor along the Shore Road and catch the Cranberry Island Ferry. In season the Island Explorer bus is right there for a quick trips to downtown, town dock, Acadia's Seawall, hiking trails, and lakes, the Bass Harbor Head Lighthouse, and Bar Harbor. Sit back and enjoy your time on the covered porch or second floor deck. Mountain views and water glimpses add to this intriguing package. Sunny custom built home with open living area, kitchen, dining room, and living room, all look out to the well landscaped yard. There is even a first floor bedroom and full bath (designed to be handicap accessible adaptable). Upstairs there is a large sitting area perfect for sitting room/office/playroom… Two roomy bedrooms and second full bath. The house has large windows, lots of closets, room in the attic, and a nice storage room over the attached two car garage. 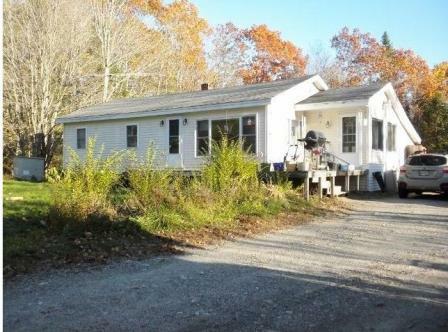 Paved driveway, two storage sheds, a full house generator, and the pellet stove in living room, are bonus features. The seasonal Island Explorer bus is nearby on the Main Road. Two nearby waterfront preserves for salt water access. 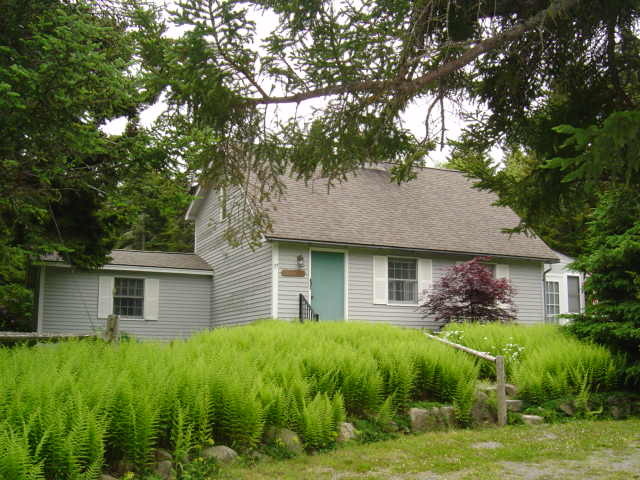 All just 3.5 miles from intown Southwest Harbor. Perfect for home, rental, and large enough for employee housing. What is your dream? 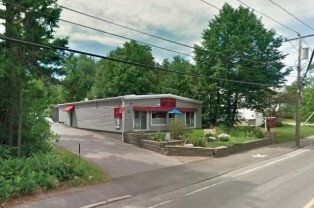 The past use of this property has been a retail business and most recently a restaurant (restaurant equipment conveys). Thinking both business & home you might be able to do both here. Why not convert to a home or multi units within a "walk to town" area. Take a look at all the potential this property offers. SOLD!! THANK YOU FOR LISTING WITH US!! 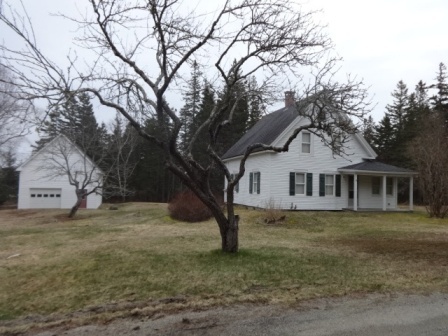 This 3 acre parcel abutting Acadia National Park offers lots of options. Located in a mixed use (residential/commercial) neighborhood the mobile home offers you a move in opportunity or use while building…great place for a workshop and trap gear…whatever your needs are. 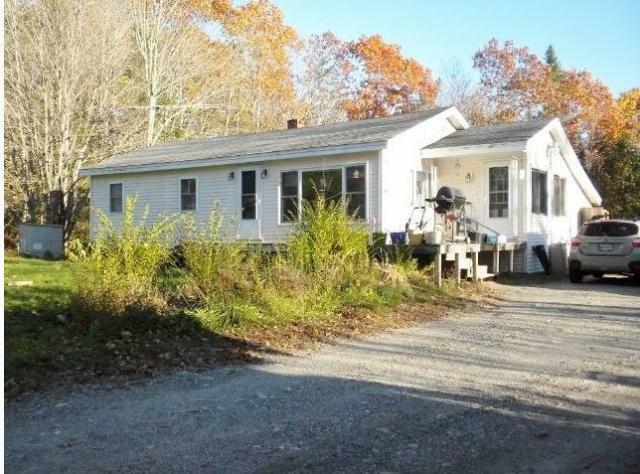 Charming 3 bedroom 1 bath home located just 1 mile from the town landing and only 2 miles from Flanders Pond! 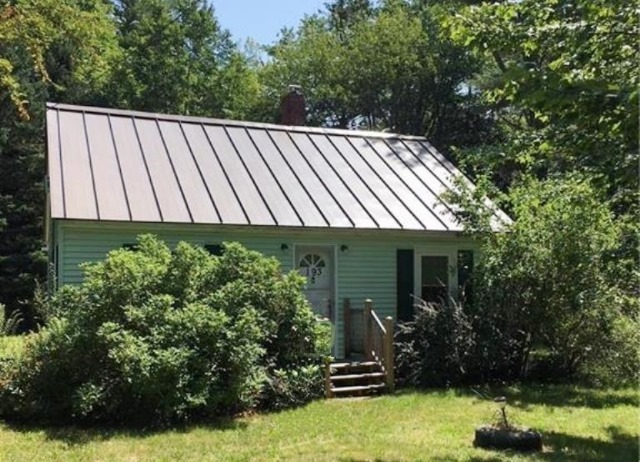 Sitting on a beautiful 1.3 acre corner lot this modest cape boasts many updates that include wiring, roof, chimney liner, windows, and appliances to name a few. A great starter home, or second home within minutes to the areas recreational activities, Just waiting for you to add your finishing touch to this home today! 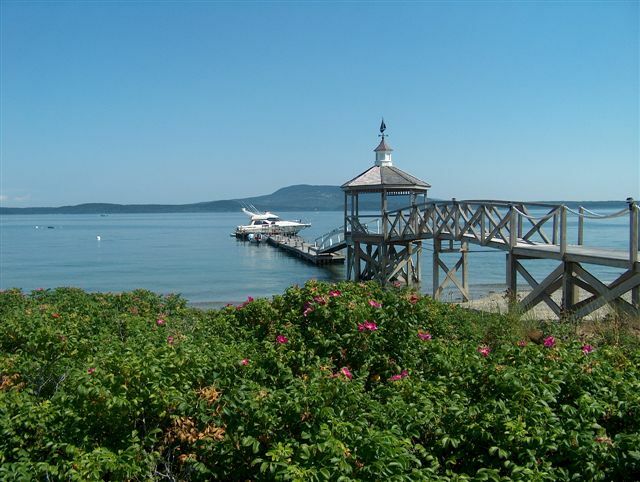 Waterfront Bar Harbor Estate--290' of sandy beachfront in beautiful, serene, private setting on three acres. One of a kind property with spectacular ocean views. 22 Rooms, including master suite with stunning views of Porcupine Islands, gourmet kitchen, four fireplaces, wine cellar, game room with built in ice cream bar and much more. The grounds feature oceanside stone patios, an in-ground heated pool, outdoor showers, pagodas, a private dock shared with next door neighbor, space for moorings in the protected deep water cove, and stairs leading to the shoreline. 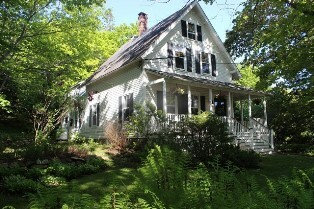 Walking distance to downtown Bar Harbor and easy access to Acadia National Park with the feeling of being worlds away. A real treasure on the shores of Cromwell Cove. 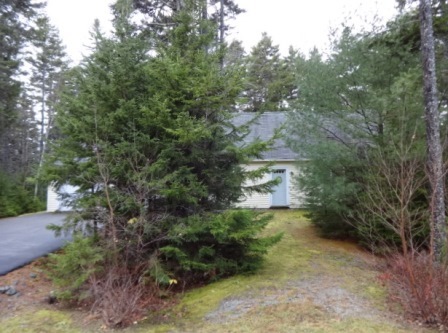 With an over two acre parcel this home with good bones needs your energy to complete. 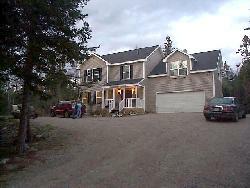 This 3 bedroom, 3 bath home was started and then not completed due to long term health issues by a local custom builder. 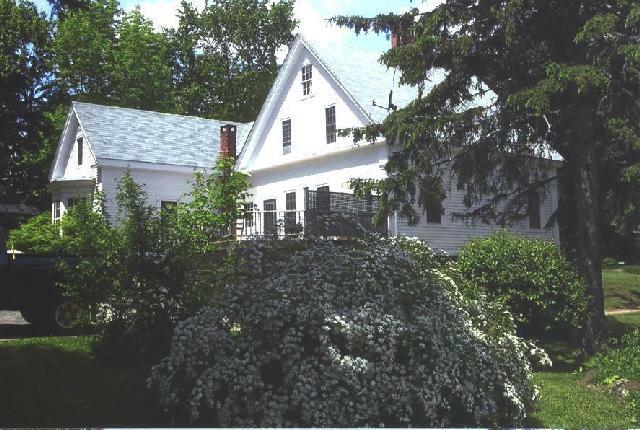 South facing for lots of sun: cathedral ceilings in the kitchen and living room, circular stairway, covered porch area. The lot offers opportunity for additional home. It does need redoing and finishing and is surely worth a look. 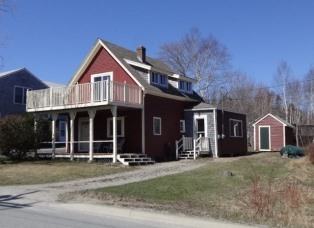 Located on Main Street, this property offers high visibility for studio, gallery, home business or more. With other nearby businesses & just a short distance from intown, ideas abound. 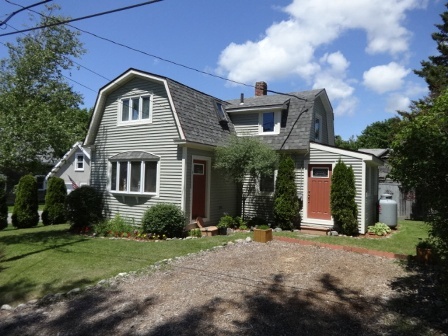 Currently a charming 4 bedroom home that has been update but still offers hints of its roots. The first floor master bedroom which was a later addition has an exterior door which makes it perfect for handicapped access, professional office or more. The garage also adds potential to this offering. 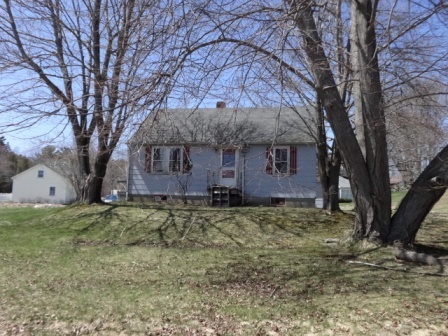 Tucked in a quiet wooded setting this one story home features three bedrooms, two full baths, wood burning fireplace in the living room, dining area with glass doors to the yard, kitchen with pantry, first floor laundry, a large full basement, and nice yard space. Move-in ready. 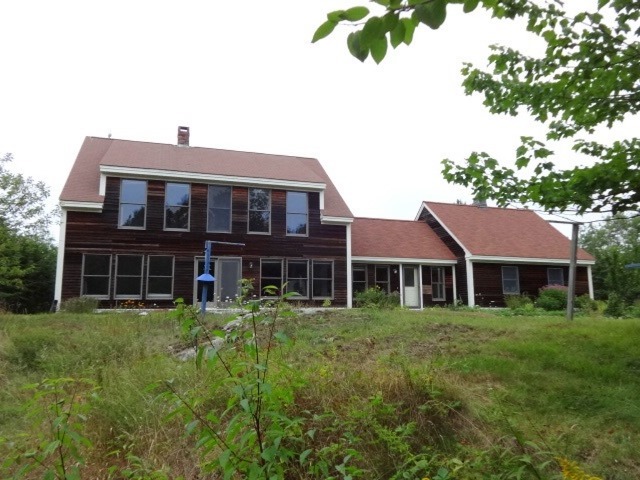 Rock Ledge features and open cathedral living space with dining area and stone woodstove hearth, kitchen, pantry closet, glass enclosed porch, rear deck, skylit three season room with woodstove (gas), bedroom, bath with shower and a half bath on the first floor. Upstairs are two additional bedrooms. Raised bed for gardening, and garden shed in the back yard, nice side lawn, and a fern garden in the front. 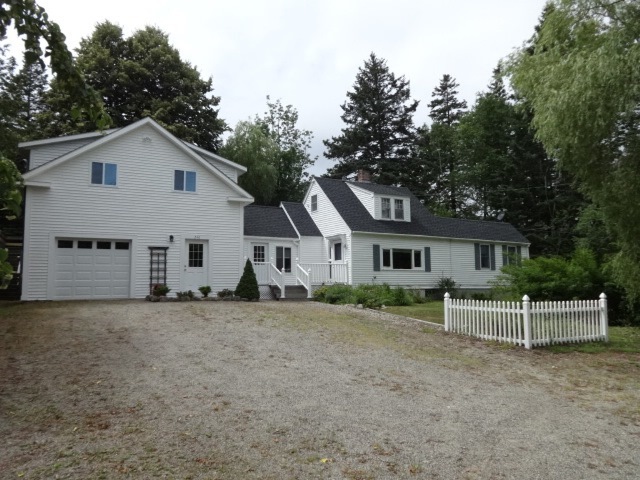 Designed to echo the perfect Maine cottage, the minute you cross the covered porch & open the front door your eyes sweep the living rm with its stone fireplace & the dining rm out to the gardens & beautiful water view. Chefs kitchen, pantry, Sub Zero, 6 burner Dacor, double wall ovens & marble counters overlook the sun filled sitting rm with the 2nd fireplace & that beautiful water view. 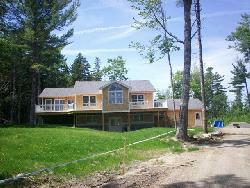 The 2nd floor bdrms have water views & the master has a balcony & en suite. Post & Beam barn has an upstairs guest suite. Charming cottage situated on a wooded acre lot. Includes a heated garage with a great workspace, and a 6x12 3 season screen room. Recent upgrades include windows, appliance and a tankless hot water heater. 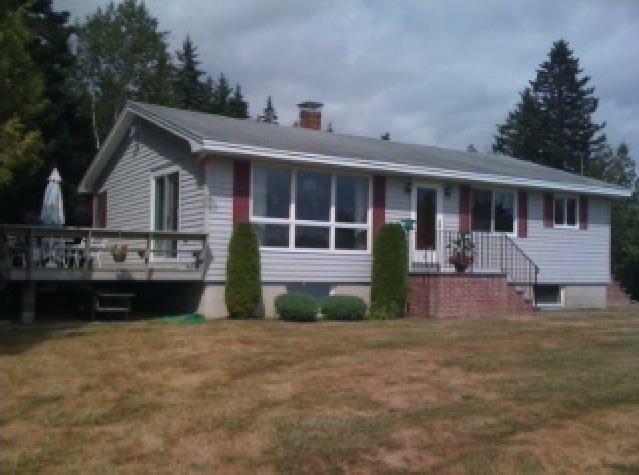 Whether your looking for a vacation home, starter home or looking to downsize this home is a must see! 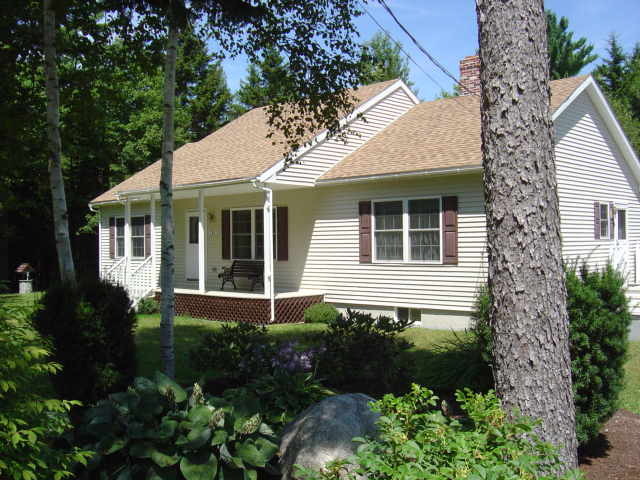 Cute home near Kebo Golf Course, just blocks away from downtown Bar Harbor. 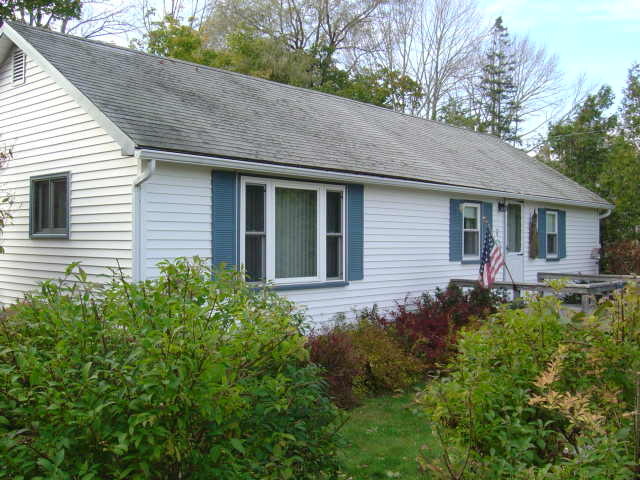 Open living room, dining area, galley kitchen, rear sunroom (or use as bedroom), full bath. Upstairs is a bedroom, extra room and bath with tub. 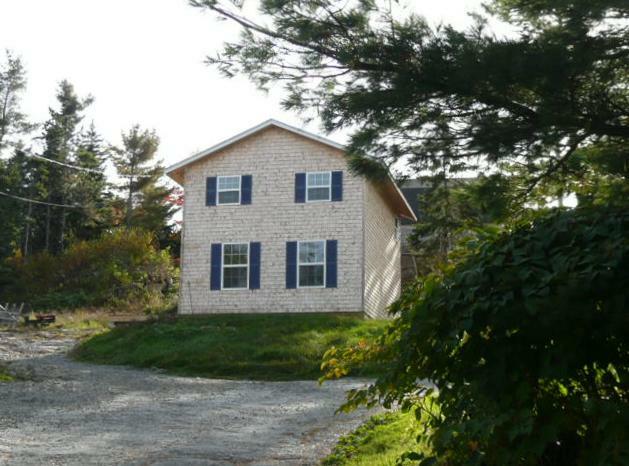 Basement with washer & dryer, paved parking, and a bit of yard space under the trees. Three bedroom cape with efficiency apartment for extended family living. First floor has a gourmet, eat-in kitchen, dining room, cathedral ceiling living room with granite fireplace, bedroom and a full bath. Upstairs is the master bedroom with walk-in closet and a full bath with Jacuzzi tub and separate shower, and a third bedroom. Walkout basement features an efficiency apartments with open living space and a full bath. 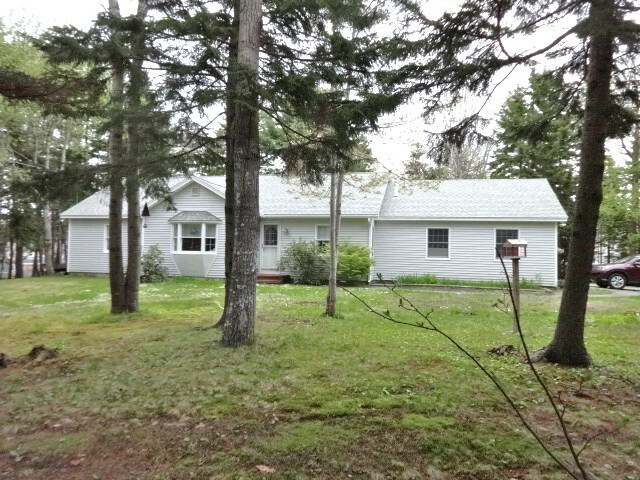 Covered front porch, nice yard space, room for a garage, minutes from downtown Bar Harbor and Acadia National Park. Home also has a great Vacation Rental History. Charming new England Farmhouse with roomy dine-in kitchen, high ceilings, fancy moldings & wainscoting. Sunny, first floor master (owner added), dining room with built in, & expanded living room which could be returned to two rooms, to make another first floor bedroom. There are front stairs to sleep area & back stairs to attic space. Lots of improvements by current owner while retaining its "Maine" charm. 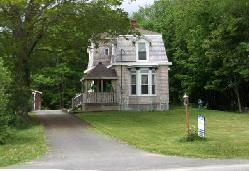 "Fairview II" is located a short hike from harbor, beach and nearby MCHT conservation land. 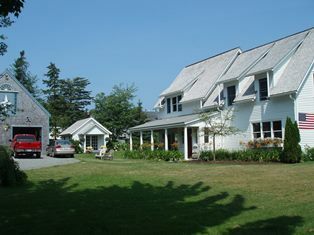 Two turnkey cottages ready for rental or personal use! 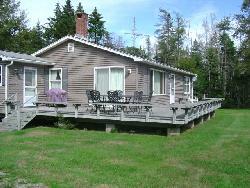 Ideal for off-season getaway & in-season rental income! Whalesback features a cathedral living area, dining area for dinning and game playing, plenty of kitchen space with full sized appliances, two bedrooms and a full bath (with stack washer/dryer). Outside is a covered porch with vintage glider overlooking the beach roses, and a nice lawn space for cooking out, play, and nighttime campfires. 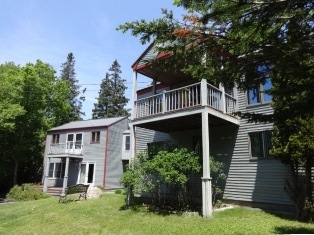 Downeaster also features a cathedral living area & dining area next to the gas-woodstove, open kitchen, bedroom, a full bath (with stack washer/dryer), plus a spiral staircase leading to an open sleeping loft. Outside is a covered porch and wooded picnic area. Want more than just a showing? Why not book a week or two at one or both. 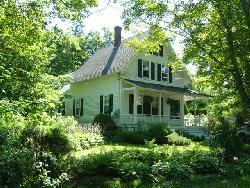 It’s a great opportunity to experience these delightful cottages for yourself before you buy. 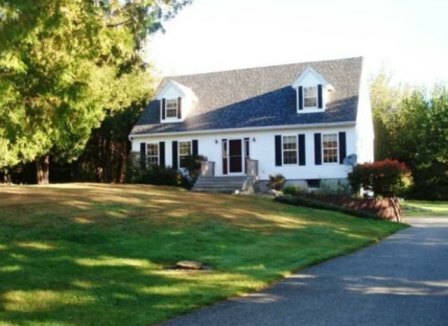 Meticulously maintained home tucked privately on .73 acres within minutes of town. Nicely updated open concept kitchen and living. 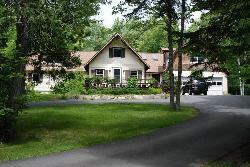 Three roomy bedrooms, including master suite, perfect for family, retirees ....year round or vacation. Many recent updates including exterior painting! Perfect for all seasons, enjoy the three season sun room or snuggle up to the woodstove. 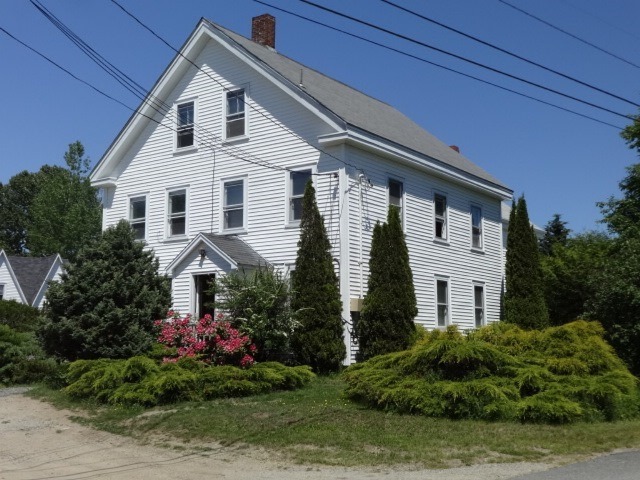 Add in the gambrel garage with space for 1 car & workshop down stairs & studio space upstairs with 1/2 bath, It is a must see! Older farmhouse with a number of updates done, some left to do. Nice large lot with potential for additional units. Deed say lot goes to flat rock on Scammon Pond. Lakes and ponds abound here for swimming and fishing. 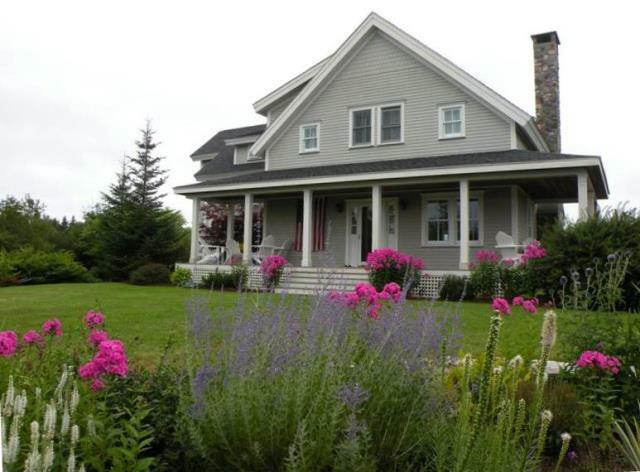 Designed with reverse living for great sunsets and seasonal ocean views: Main house has upstairs living room, kitchen & covered porch, first floor master bedroom, second bedroom, bath & laundry. Attached guest suite has upstairs kitchen, living area & bath: first floor bedroom, bath & extra room: study, professional space, art studio, get creative with the possibilities of a business, what would yours be? At high tide "Tideaway" feels like living on a boat, and at low tide you can enjoy bird watching. 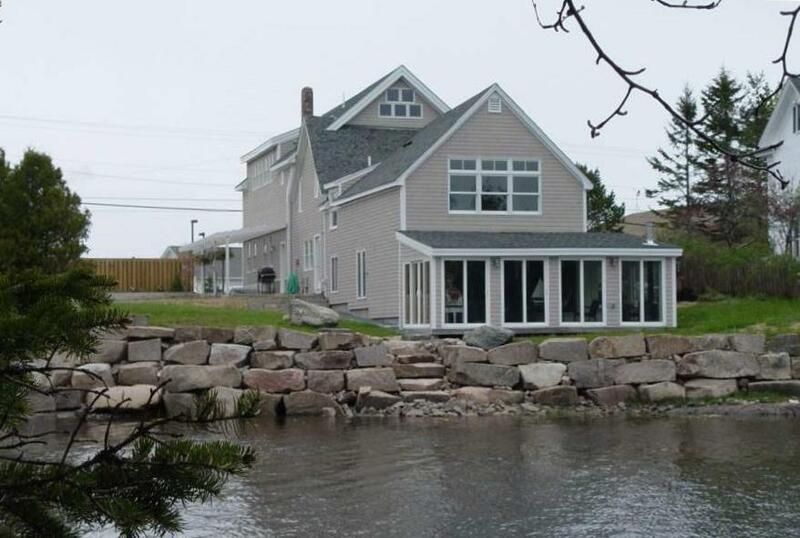 This renovated 4,200/sqft home with new additions features: five bedrooms, three and a half baths, long views down the harbor from the open living area and waterside bedroom. Cute studio bedroom/guest room, large master bedroom, the loft makes a great little getaway, two car garage, nice side yard. The home has a great rental history, the potential for four units, and must be seen to be believed. Create memories in this spacious four bedroom two bath Classic Cape tucked away in a quiet neighborhood in the quaint community of West Tremont. This house offers a beautiful eat in kitchen to accommodate a quick breakfast for the busy mornings, an adjacent large dining room to invite all your family and friends for the traditional family holidays, a cozy and inviting living room to spend evenings relaxing with your family. 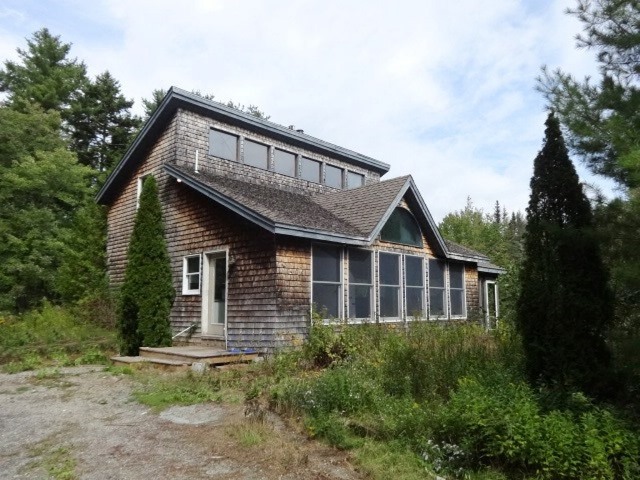 This house offers lots of large windows to fill your home with abundant natural light. 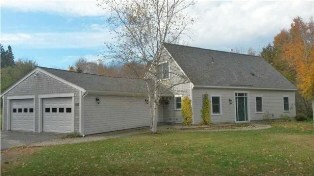 Peacefully situated in the well-kept & quiet Thundermist subdivision w/easy access on & off MDI. This lightly used & well-kept home features 3 bedrooms, 2 full baths, a fireplace, 1st floor laundry and a 2 bay-attach garage. Nestled on 2.4 acres & surrounded by a gorgeous forest of pine trees that abuts Acadia National Park, this home is awaiting your personal touches. 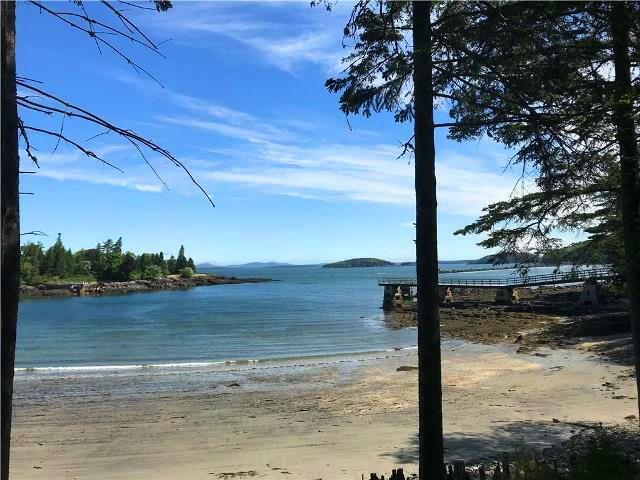 The Sister Islands are just a short paddle away and as a homeowner at Thundermist you will have shared access to the Nature Park and pathway to the shore. 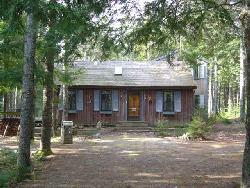 Central Island location nestled in the woods, getaway to Cozy Pines. Cathedral living rm with Jotel gas stove and dining area, kitchen, bedroom with queen bed, full bath. Open second floor sleeping loft over looking the living rm. Deck off the living rm for relaxing after a day in the Park. Somes Pond is 2.8 miles, Long Pond is 3 miles, Echo Lake is 3.2 miles, Easy access to the western trails of Acadia, minutes from downtown Bar Harbor & Acadia Park Loop Road. Rental History, consider selling furnished. 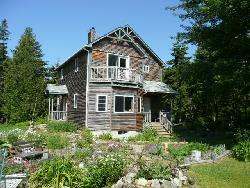 Year round home on MDI. 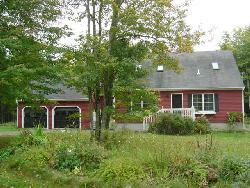 First floor features a large living room with woodstove, eat-in kitchen, half bath and laundry, plus a sunroom. Upstairs are three bedrooms and a full bath. Nice yard space and even some Mt views. 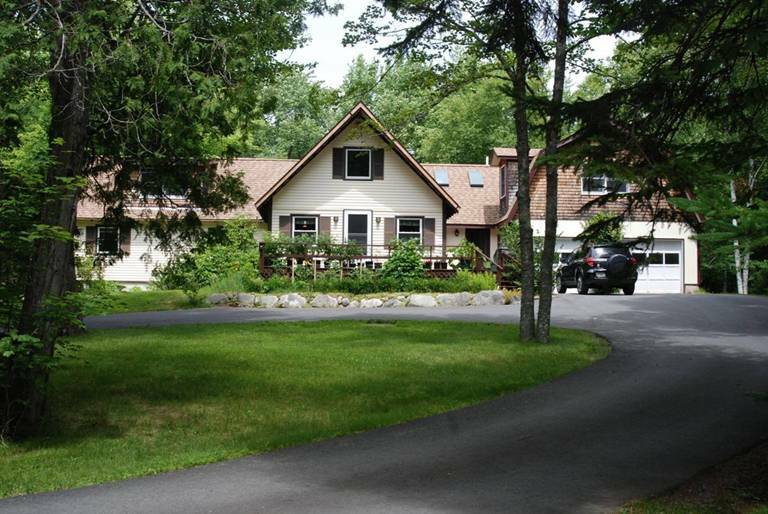 Year round home, seasonal getaway, vacation rental…this property offers it all. 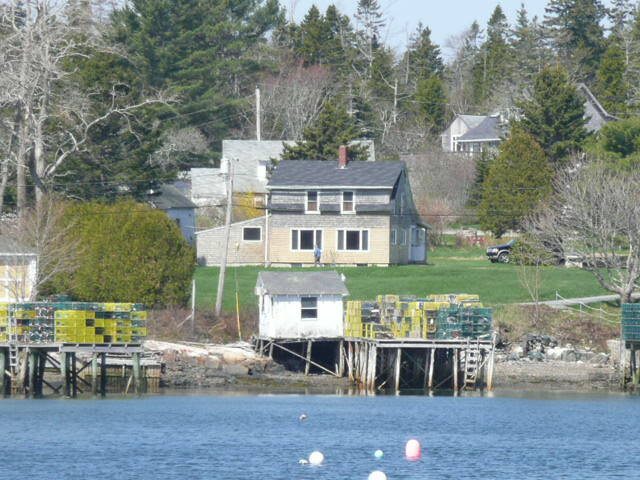 Close to downtown Southwest Harbor, Back Beach, harbor access…and so much more. This home offers many period details such as oak stairway, nice wood floor, built in storage, wainscoted 3rd floor attic & back covered porch (with water & mountain views) The first floor offers roomy eat in kitchen, double living room, large more recently added bedroom with bath (could be first floor office or more)& 1/2 bath with laundry. 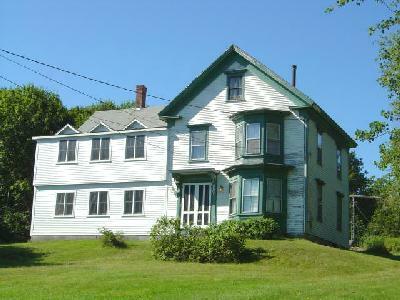 2nd floor has 3 bedrooms, (two with views) & bath with clawfoot tub. Single car garage, garden shed & gardens complete this home all within a short walk to the harbor. Large stately 1850's home is currently separated into 3 rental apartments, but with the original stairways, hallways, and doorways still in place, it is an easy conversion back to a large single family home or a combination of home and apartment(s). 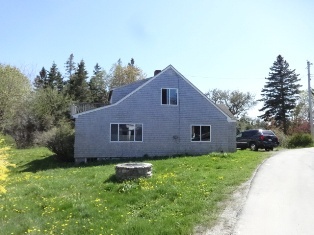 There is also an attached two story barn (with seasonal bathroom) for shop, artist retreat, storage…Add to that a storage building, plenty of parking, a sweeping lawn to the Shore Road that offers protected views of the harbor, and you can see what this property really has to offer. So much house! Located on Harbor Drive in Bass Harbor where you can stroll to the post office and harbor, and the Bass Harbor Lighthouse is just down the road. 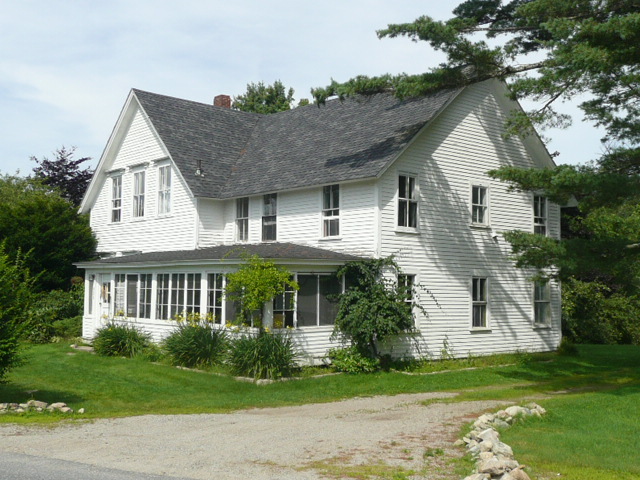 The Reed house has had very few owners since being built in 1900 and has been renovated several times to create a comfortable and spacious home. Large living room with dining area, eat-in kitchen with pantry, study and half bath make up the first floor. The second floor provides three bedrooms and a full bath. The finished third floor offers a large room with mountain views. In addition there is an attached one bedroom apartment with kitchen/living room and bath with shower, located over the attached garage. Nice yard space, plantings, generator, paved driveway, and detached two car garage complete the property. 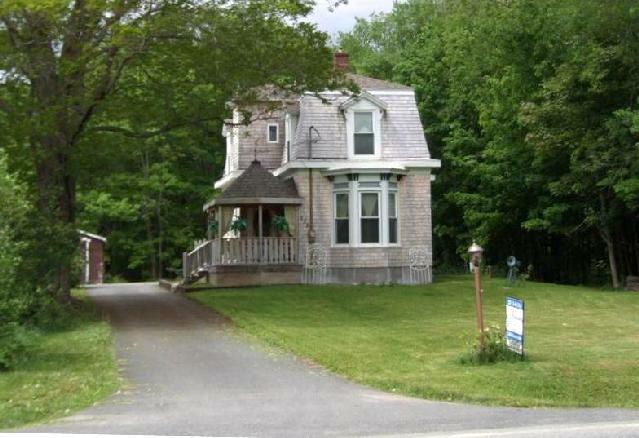 This home was built in 1876 with many updates in the 1990's but still retains its character. A barn offers storage or chance for an extra unit. Perfect sunny spot, w/plantings of day lily's, lilacs, & apple trees. The property abuts conservation land & has a right of way to Goose Cove. Truly the Maine experience. interior photos will be posted as soon as the house is awakened for the season. 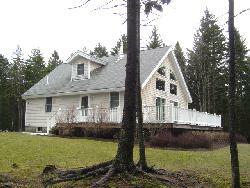 Well maintained home tucked privately on .73 acres within minutes of town. Well laid out kitchen with newer counter tops, nice open dining area, three roomy bedrooms, including master suite, three season sunroom. Add in the gambrel garage with space for one car and workshop down stairs plus studio space upstairs with half bath. 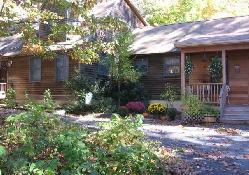 Perfect for family, retirees, year round, vacation, for all seasons! 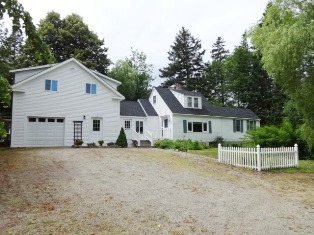 “The Gambrel” Located on almost 1 acre with town water & sewer this cottage offers a relaxed casual getaway, want something more, still room for larger home & use this for the guests/convert to a garage. Tucked away but so close to ocean you can smell it. Upstairs can be made into two bedrooms. 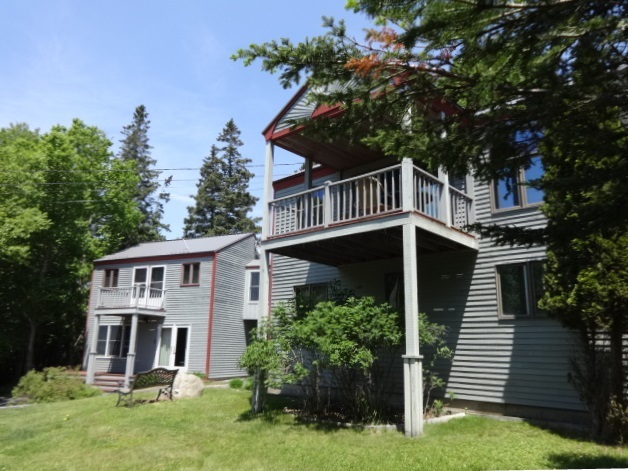 Located in Hulls Cove, 1/2 mile from the water, 1 mile from entrance to Acadia National Park Visitors Center, just 3 miles from downtown Bar Harbor. This home was lived in by same family for 35 years and has been very well cared for. Features wood floors, gas fireplace in living room, two enclosed porches, and large sunny back deck looking out to a 1.76 acre property. Paved drive with two car garage and room for shop/storage. 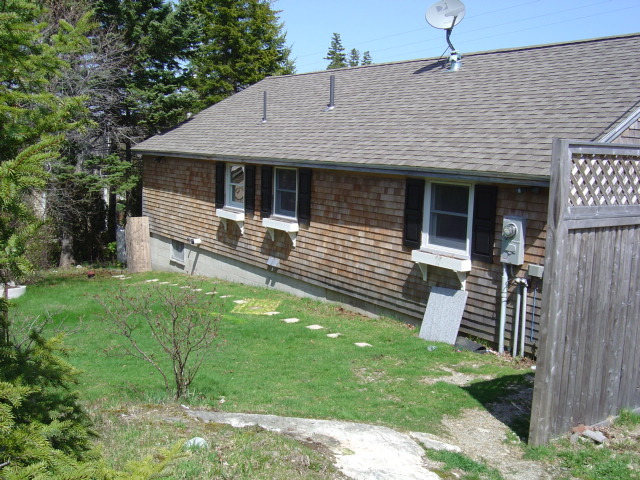 There is also an oversized septic system offering potential for additional home. This charming three bedroom home is a must see and in move-in condition. 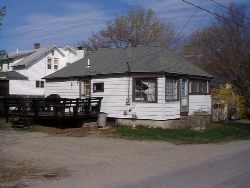 Older mobile home with pitched metal roof, tucked back off street. Town water and sewer, gambrel 20x16 shed. great old chestnut and apple trees. 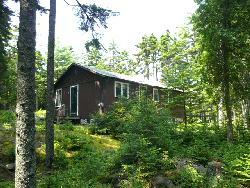 Offers year round or season use or remove and build your dream cottage there. Very close to harbor...perfect for the boater who wants to have a spot ashore. 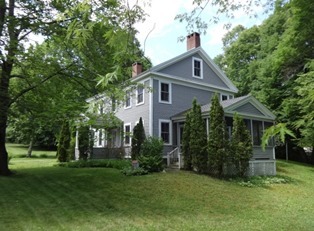 Classic Colonial home located on desirable Clark Point Road with peeks of Southwest Harbor. Town dock directly across the street and within walking distance to the center of town. Adorable 2 bdrm, 1 bath home featuring complete renovation inside & out. New roof (2012), Deck (2012), Siding (2014), Appliances (2012). Rennai Heater, Woodstove, Elect Fireplace. Enjoy intown living, walk to shops, restaurants and the harbor. Easy access to Acadia National Park, Flying Mt trail and Echo Lake just down the road. 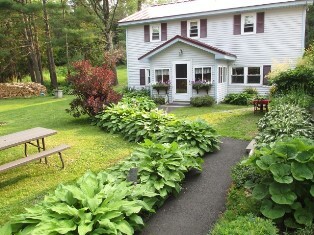 This home is also ideal for investment as a Vacation Rental or Year Round Rental. Owner will also consider selling furnished. Listen to the soft echo of the loons call and the sound of the water lapping the shore at this cozy two bedroom, two loft, camp on Abrams Pond. 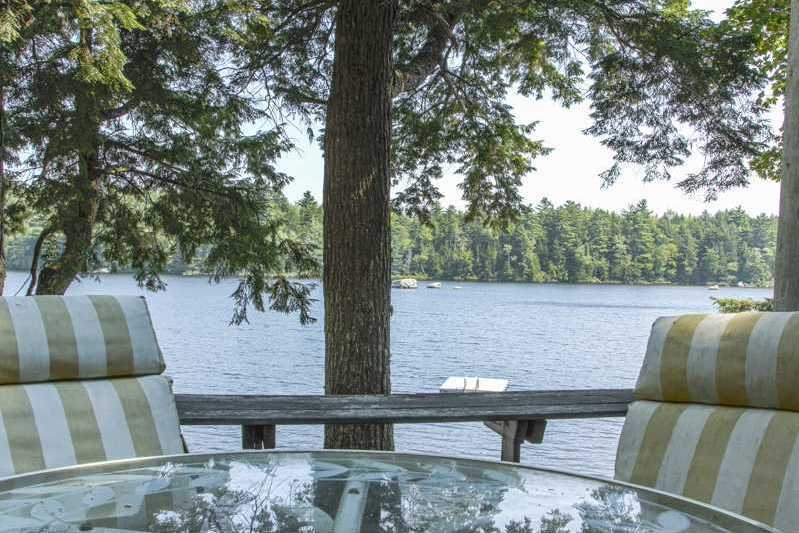 Enjoy a private dock, large deck, screened porch and 100’ of shoreline. Do some bass fishing in the morning and swim the afternoon away! Great Bernard location offering lots of potential for someone who can finish interior work and other projects. Harbor views and deeded right of way to water. 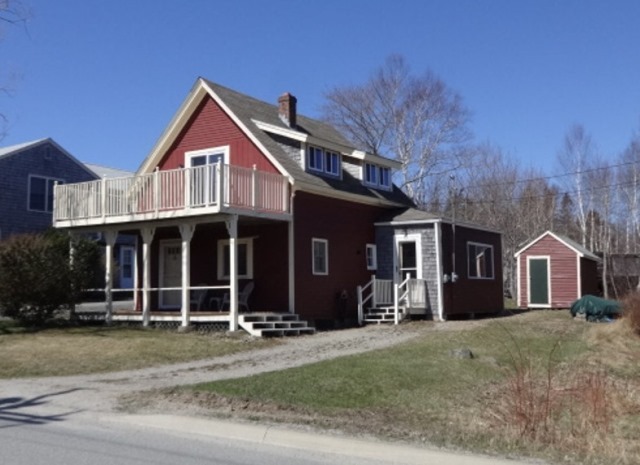 Perfect near town location allows for quick access to shopping, Acadia’s Flying Mt, Acadia’s Echo Lake beach, Causeway Club golf course, and a picturesque walk across the Mill Dam into downtown. 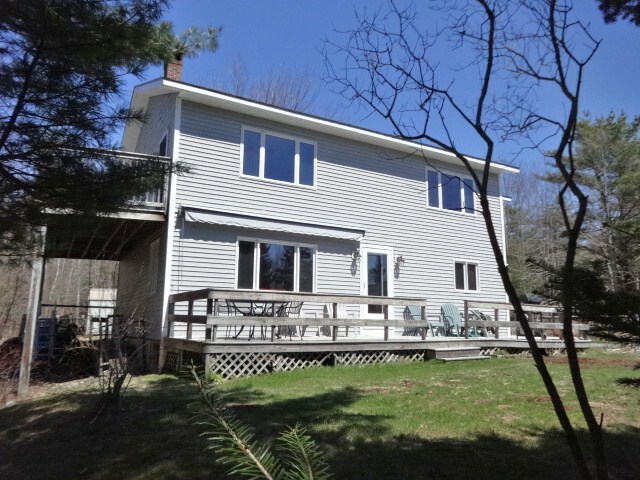 In addition to the location this home offers a sunny new private back deck right off the living room, eat-in kitchen, first floor master bedroom and first floor bath, two upstairs bedrooms and a second bathroom. Looking for a little more room? How about a roomy two car garage with storage above. The current owners have made many updates and changes, so call today to schedule your showing. Spacious three bedroom home with three and a half bath rooms, open cathedral living space, sitting room, cozy sunroom that opens to a wraparound deck and garden patio. Nice yard with amazing sun exposure. In addition there is an attached two car garage with a charming two bedroom income apartment. All in a peaceful wooded setting close to town and Acadia. Nestled amongst the trees on 10 private acres of land sits this peaceful home away from home. 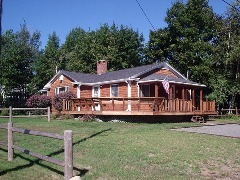 Fully finished log sided cabin with large deck and covered porch. Beautiful pine finish inside Access the ATS trails right from the cabin. Easy one story living, where you can walk to shops and harbor, plus have Acadia’s Flying Mt and Echo Lake just down the road. 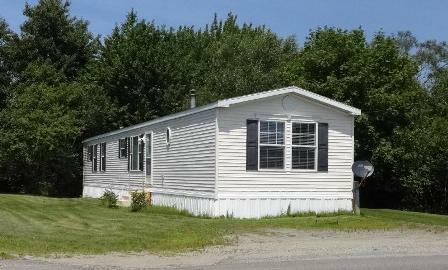 This 2006 mobile home is ready to move right in! It features a kitchen, and dining area which are open to living room, roomy master bedroom & full bath, two additional bedrooms, an additional full bath, plus a small side deck. Some furnishings included. 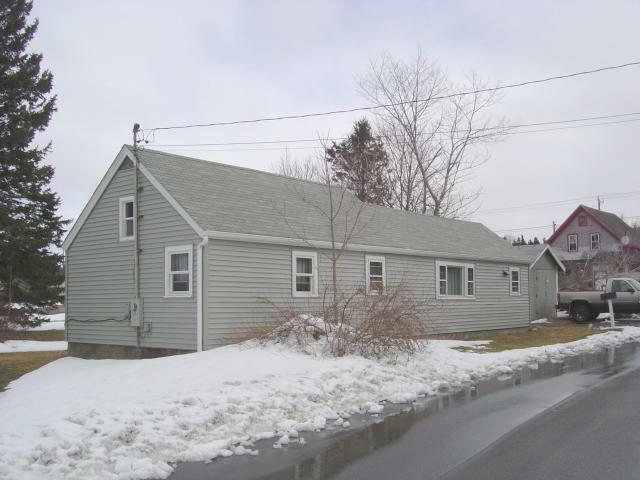 Close to town, nice setting, many recent updates & upgrades (including new roof and siding) make this three bedroom home worth seeing. 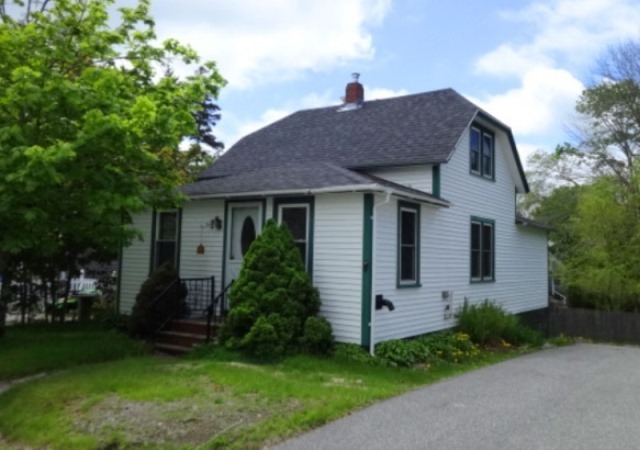 Add to that the woodstove in the living room, bedroom suite, finished basement with sauna, attached garage, and the large sunny deck and this home is not to be missed. Solid bones and classic features with numerous updates in recent years provide the backdrop for an upscale urban residence and/or home occupation. 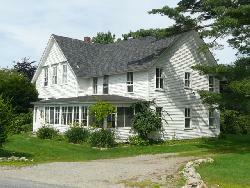 Continue as a professional office, or easily restore to a single family home. Wood floors, fireplace, great intown location: walk to The Grand, shops, restaurants…. 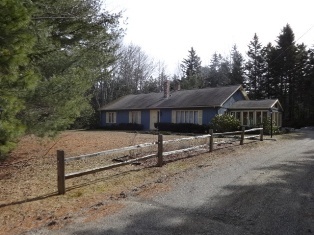 Classic newer cape beautifully sighted and set back from the road on a 2.11 acre parcel. 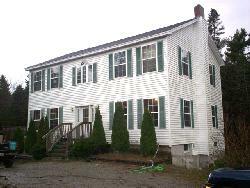 Very well cared for with large sunroom, patio, office space, first floor master bedroom & bath. In all eight rooms, four bedrooms, two and a half baths, one thousand eight hundred sqft, plus an attached heated two car garage. Radiant floor heating, wood and tile floors, a short drive to Seawall and downtown Southwest Harbor. 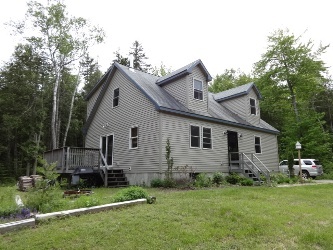 Two bedroom home across the street from Acadia National Park, the Bass Harbor Lighthouse is just a short distance away and on a stormy day you can hear the surf. Casual one floor living along with just under three and a half acres make this the perfect seasonal or year round spot. Acreage provides potential for more units. Abutting conservation land, Mt view, easy access to downtown Bar Harbor & Acadia. Renovated & second floor added in 2004. 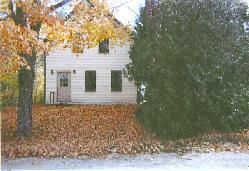 Living room w/woodstove, family room w/gas woodstove, master bdrm w/deck, two full baths, large deck, garage, yard. 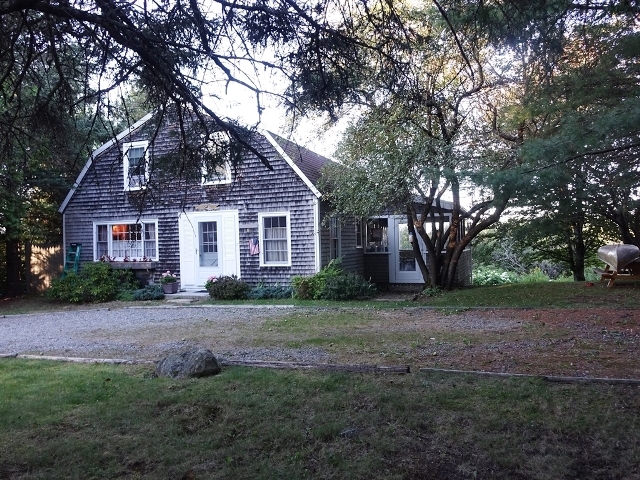 “The Torrey House” charming, perfect for getaway cottage or year round home, sit back & relax with a cup of tea on the enclosed porch or stroll to the nearby shore, soothing relaxed interior colors & old fashioned kitchen, wainscoting & 1st floor master bedroom sweeten the deal. 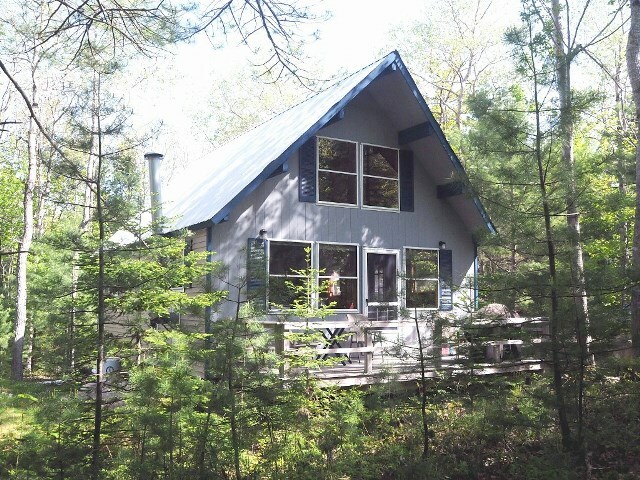 “Echo Dreams Cottage” is the perfect getaway. Enjoy the large wrap deck with views over the quarry to Echo Lake. Relax in front of the fireplace on the cathedral living room, or curl up in the nook with good book. This well maintained three season cape is centrally located on MDI and the frontage on Echo Lake just adds to this already delightful offering. 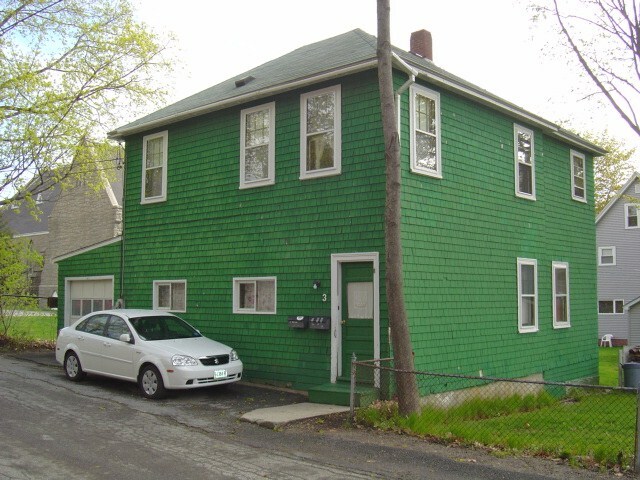 Downtown Bar Harbor two unit apartment house offer many options and income opportunity! Currently the first floor is a one bedroom apartment with open living room-kitchen with dining nook, and a full bath. Upstairs is a two bedroom apartment with eat-in kitchen, living room and bath with shower. Add to that an attached one car garage, back yard and intown location you have quite a deal. Keep as is and rent, living in one rent the other, convert to single family… Quite side street where you can walk to the shops & restaurants as well as the Y and Shore Path. 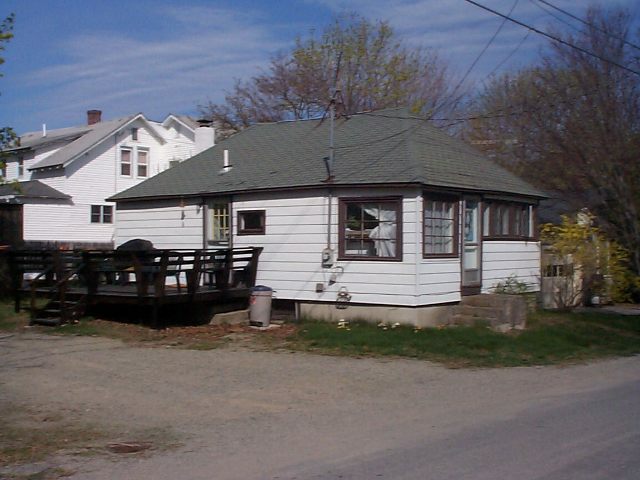 Great intown location with harbor views, harbor access and potential potential, potential! 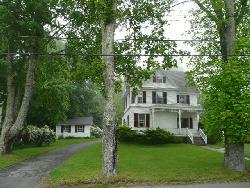 Kitchen, living room, full bath, two bedrooms on the first floor with a large seasonal room upstairs, and a full basement. This home needs work: roof needs shingles - great time to add dormer for that water view, ready for your updating! This custom built home is located on a quite street away from the traffic of downtown Southwest Harbor. Roomy kitchen with open dining area, sunny living room with woodstove, first floor bedroom and bath, Upstairs are two additional large bedrooms and bath. The full mostly finished basement offer two more rooms, laundry room, and unfinished shop/storage space. Outside is a nice lawn, woods behind and a deck off the dining are for grilling and relaxing. Many updates & changes to this home. 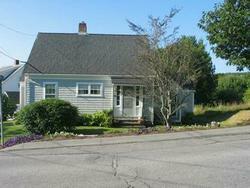 Granite counters, new appliances, finished mud room, chimney, brick & granite woodstove hearth. 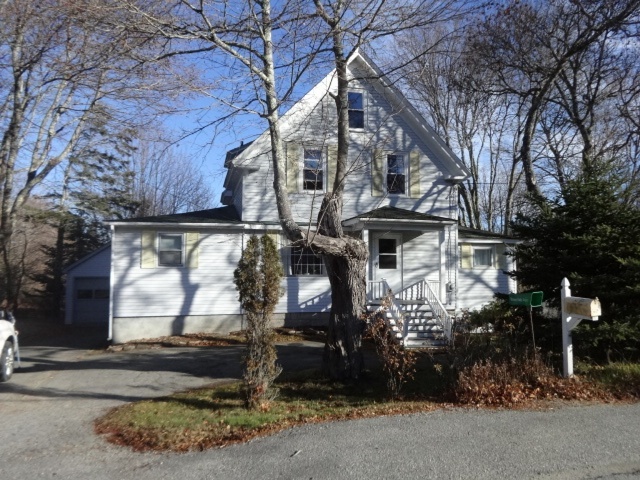 Bonus of a 1st floor bedroom & bath, wood floors, rear deck, hot tub, attached 2 car garage. 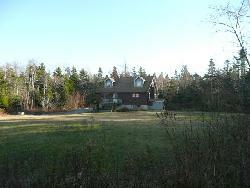 Quiet location near town & Acadia. 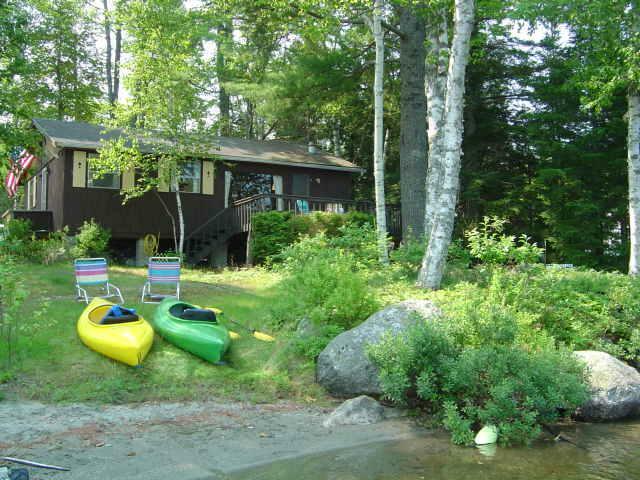 Long Pond - shared deeded access (small beach 2/10 mile from home), public boat launch 3/10 from home. Ocean access on Somes Sound. This year round home also features skylights in the kitchen, dining area, living room, and bedroom, large side deck for grilling, woodstove in the living room, 3+ bedrooms, nice yard space and a quite location. In addition there is a large 20x42 garage/shop, with pleanty of room and parking to keep your boat(s). If you are looking for a home, getaway, rental, this is a property you shoud see. Priced to sell. 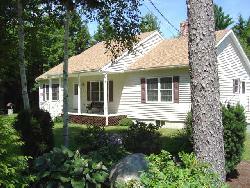 One story living, two plus bedroom home just minutes from Southwest Harbor. 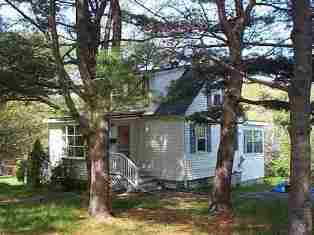 Click to enlarge 18 FOREST AVENUE, SOUTHWEST HARBORSOLD!! Totally renovated intown home ready to move right in. Nice living room that is open to the updated kitchen. The master bedroom has a spacious walk-in closet and the bath offers a large shower and laundry. Rear deck off the kitchen great for grilling and relaxing. All this plus the benefit of being able to walk right into downtown! UNIQUE OPPORTUNITY!! 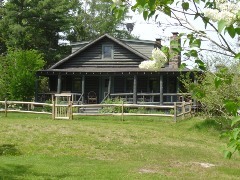 This 1800's home complete with dock is located in the village of Bernard. Owned by the same family for 50 years. This three bedroom home offers spectacular views of the harbor and steps from Thurston’s Wharf for fresh lobster. Call today!!! Professionally landscaped and ready to move in! This 2005 home offers an open living room, eat-in kitchen with sliding door to the back yard, master bedroom with bath, two additional bedrooms, a second bath, laundry, and a full basement with wood stove hookup. Outside the stone dust driveway leads to a three car garage giving you plenty of room for cars, toys, and workspace, Additionally this home offers very nice yard space in a quite location. Great location just a short distance to town but away from it all. Two bedroom ranch with full walkout basement, master bedroom w/half bath. Very easy to heat with newer furnace and hot water system, plus a wood stove in basement. Large back deck with screen room looks out over private wooded yard and raised gardens. 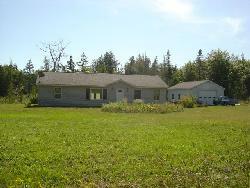 Two car garage, all set well back on this 1.5 acre property. 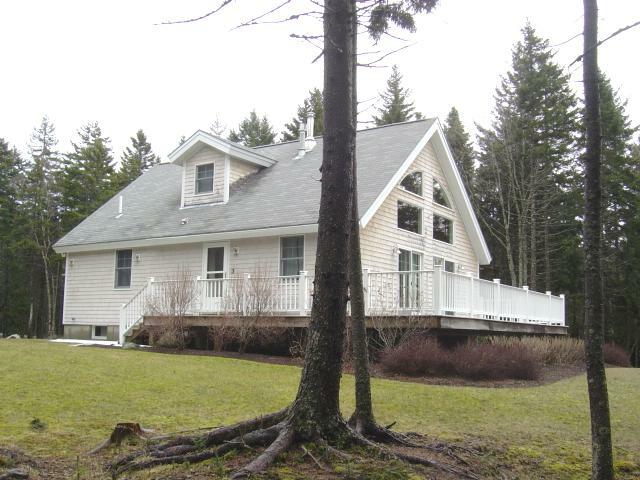 Easy access to Bar Harbor and Acadia National Park. 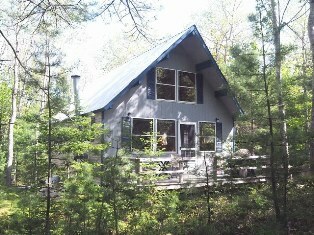 Great little get-away or rental, current tenant paying $550 per month. Down sizing, first time home buyer, or Invest in real estate on Wall Street. Large deck. “Wind Shadow” is a sun filled custom home with a manufactured stone & granite gas fireplace in the cathedral living & dining room, and patio door that open to the wraparound deck. The kitchen and two baths with granite and marble counter tops. 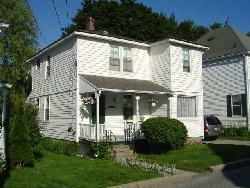 Looking for an investment this home has a great rental history. There is even a glimpse of Bass Harbor. Nice yard in this wooded setting, quite location, and only minutes to downtown Southwest Harbor and Acadia National Park. Cute little two bedroom home, conveniently located within fifteen minutes from all Island towns and Ellsworth. Walk to the Country Store for a coffee or ice cream, to the local restaurants for a fine meal, a work out at Curves, and the kids can even walk right over to the playground. Open living room – kitchen, small second bedroom, full bath, and a cathedral master bedroom. Nice little yard with a shed for the bikes. Become a part of this delightful neighborhood. 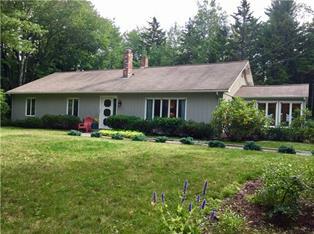 Adorable 4 bedroom house w/attached 2 car garage tucked away on 4+ acres in Lamoine. A large deck invites the many nights of summer gatherings. Just 7 miles from the center of Ellsworth and easy access to Lamoine Beach, State Park & Acadia National Park. 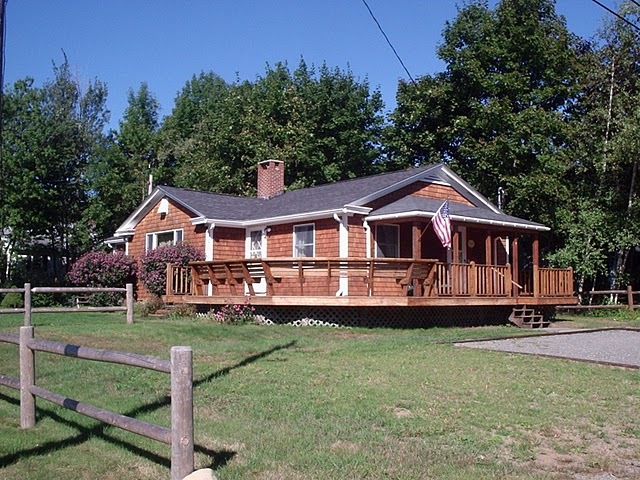 Perfect getaway or year round home, easy one story living, large living with wood floor, two to three bedrooms, well maintained, water view on 4 acres. Hot topped drive, garage with workshop, gardens, full basement, generator. Additional 13 abutting acres also available. Year round log home set back on a wooded property for privacy. 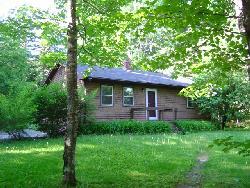 Covered front porch, new large rear deck, open living space with woodstove, two bedrooms, full bath and a bright interior. This home has be well maintained and in move-in condition. Comfortable three bedroom, two bath ranch home featuring a roomy master bedroom with master bath, patio doors in the dining area which open to the 1.2 acre yard. There is also the bonus of a 24x 36 garage with 10 'high door perfect for workshop. 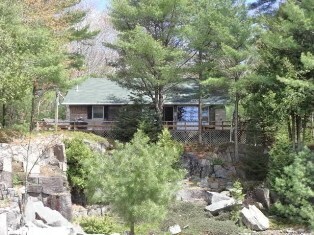 Great getaway/rental property on Beech Hill Pond. 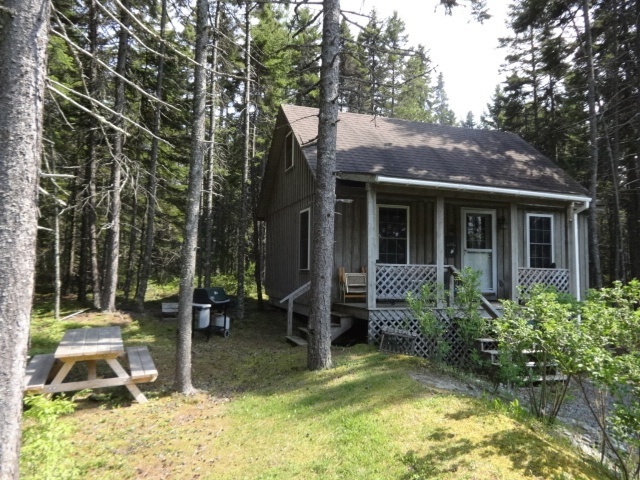 This camp offers an open living room and kitchen across the front, three bedrooms, a loft a bath with shower and a waterside deck to relax on. 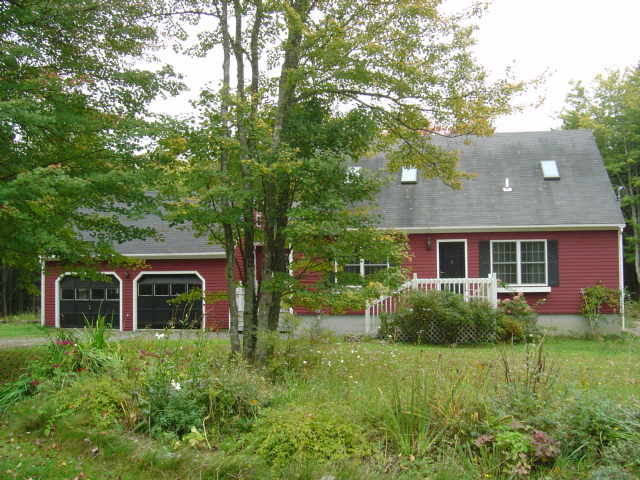 The property gently slops to the pond, with lots of blueberries to enjoy. Investment! Three bedroom trailer & cozy one bedroom bungalow provides an opportunity to own and rent your very own investment property. Rent Both! Rent one while living in the other! This unique home is in need ofsome cosmetic work but well worth the effort, which is why the seller is offering up to $15,000 off the list price for interior painting. With 3,472 sqft of living space inside and a large wraparound deck to enjoying the private 4.3 acre property, this home is a must see and great opportunity. Nice, well maintained home all painted out and ready for sale. 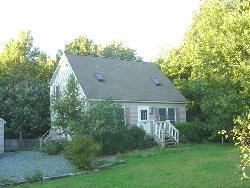 Eat-in kitchen opens to private back deck, living room, dining room, and a half bath with laundry on the first floor. Upstairs are three bedrooms plus a full bath. Half the basement is a finished for a family room or office. The detached two car garage has lots of storage space above. There is also plenty of yard space in the front and back. Located near the end of this quiet dead-end street. Motivated Seller has Priced to Sell!! 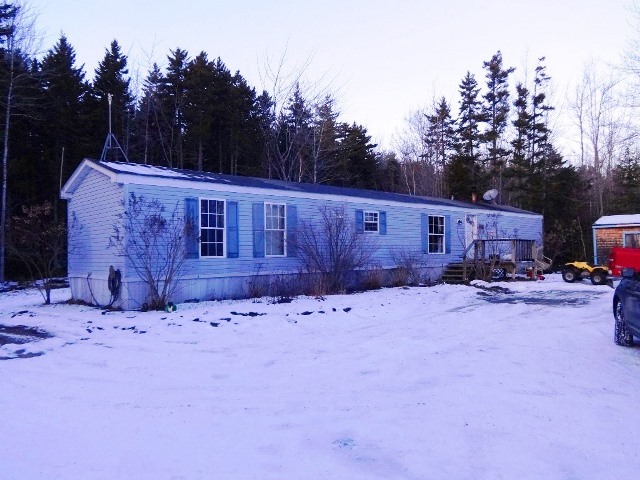 Set back from the road is this great two bedroom ranch home with tile floors, full basement, large back deck, gardens, field and a large shed/barn. All on 1.4 acres and within walking distance to the village, just a short drive to Lamoine State Park and Lamoine Town Beach, and only minutes from Ellsworth and MDI/Acadia. Ready to move right in! Well maintained four unit income property, a great opportunity for owner-occupancy. Three units are rented w/long-term responsible tenants. Three units have their own laundry. 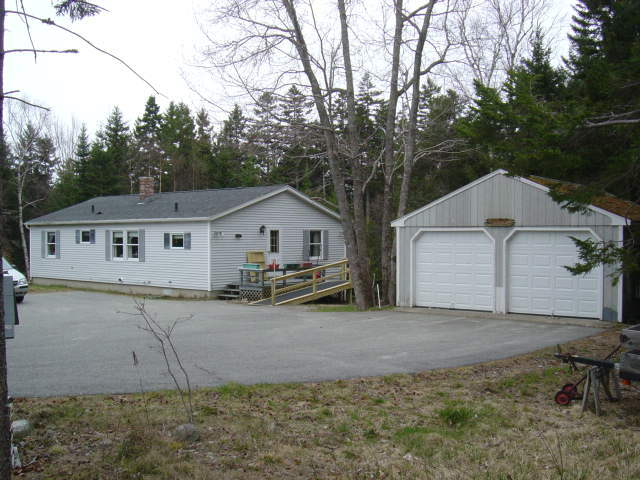 Oversized lot, town sewer, spacious parking areas and nice yard with seasonal waterview. 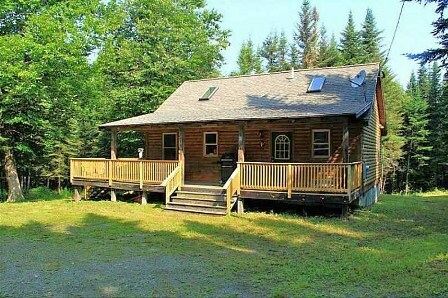 Here’s a cabin offering a delightful getaway nestled under magnificent pines, with moss lines paths, and a natural ledge patio for family gatherings and cookouts. 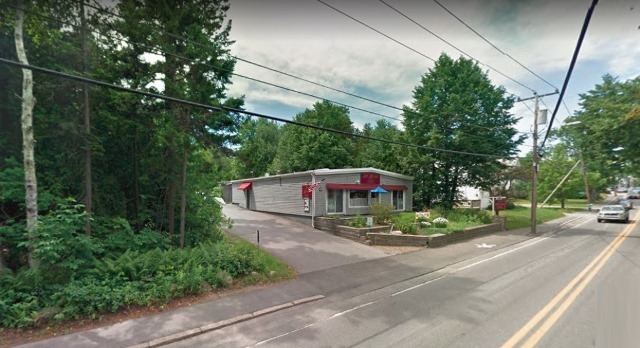 Conveniently located just down the road from Acadia’s Flying Mountain & Valley Cove, and a quick trip to town by car or causeway. At the end of the day snuggle in front of a roaring fire built in the granite fireplace. Well appointed recently remodeled home. Wood & tile floors, granite counters, custom cabinets, and cedar lined closets, full basement. 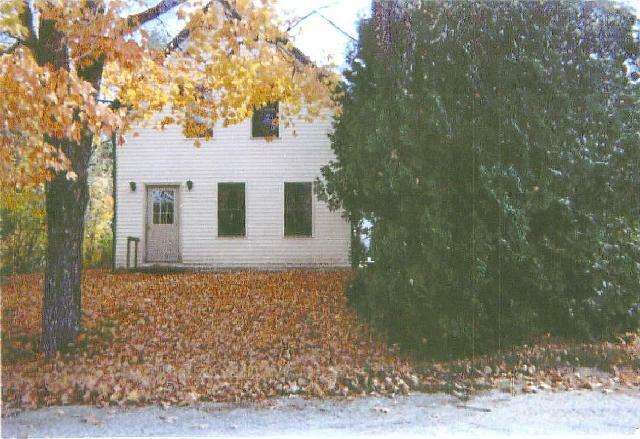 Two lots of record add possibilities for additional dwelling. 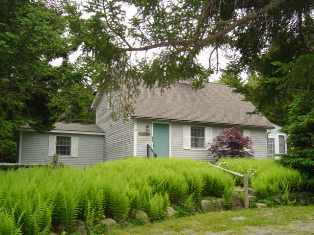 Very close to Tremont School and just a short drive to SW Harbor, Swans Isle Ferry, Lighthouse, Wonderland. Rebuilt in 1978, this in-town ranch offers convenience to Harbor House, shops, restaurants, school, harbor, bus route... Nice yard space, front and rear decks, two bedrooms, living room w/woodstove hookup, attic & full basement. A quiet lane, a nice home, and a nice location. Not a cookie-cutter modular! 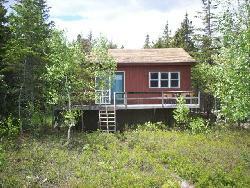 Custom stick-built with private and nicely elevated site offering peeks of mountains and Goose Cove. Andersen windows & doors, granite counter tops, Master suite with garden tub, huge deck space, attached garage, finished walk-out basement. 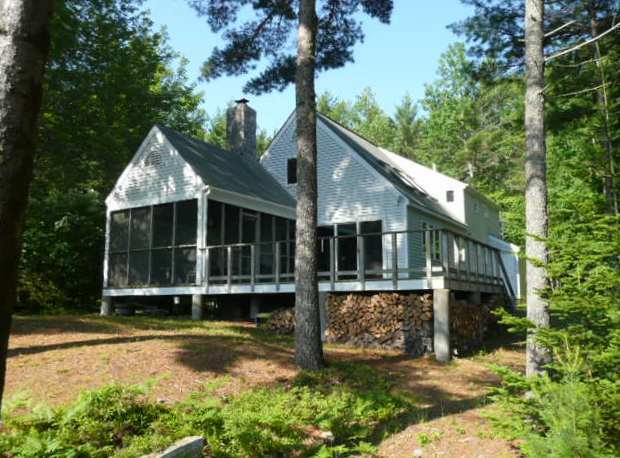 Little getaway with thirty eight feet of frontage on Toddy Pond. Camp needs work or you can replace it with something new. 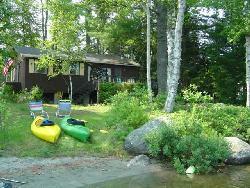 Located right on the ponds edge for many summers of enjoyment. A two minute walk from the Village Green. Grandfathered vacation rental being sold furnished, Great rental history, Great investment! Also perfect for year-round residence. 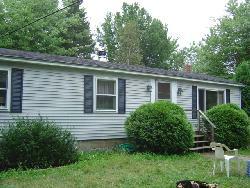 Well maintained, living room with fireplace, three bedrooms, wrap-around deck, quiet neighborhood. Ready to rent or move right in! Charming historic Hamilton Pond Lodge. 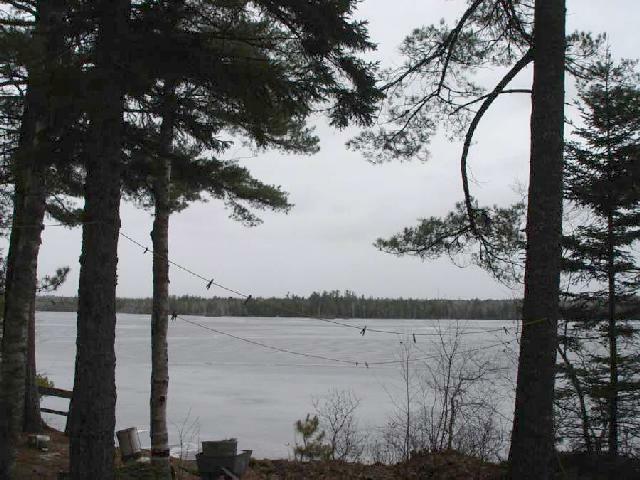 4+ acres w/271’ of frontage on the pond. 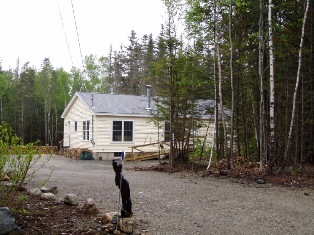 Perfect spot for country living, just minutes to town & Acadia. 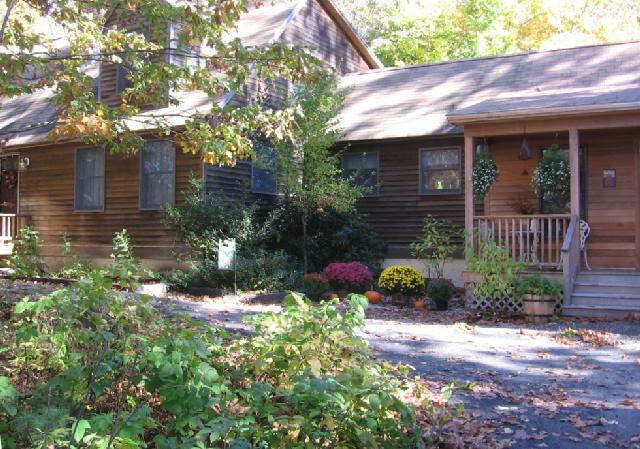 Stone fireplace, covered porches, enjoy boating & fishing on the pond. Fenced area perfect for pets. two outbuildings for storage. Looking for the ultimate getaway? Here it is! Off the west shore of MDI with views back to the mountains of Acadia. Wildflowers, seabirds soaring overhead, and seals and porpoises letting you know this is their playground too. 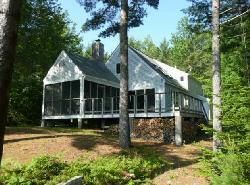 This year round home offers the ultimate in quiet relaxation, while only a short boat ride to Acadia. $499,000 with exclusive dock rights. 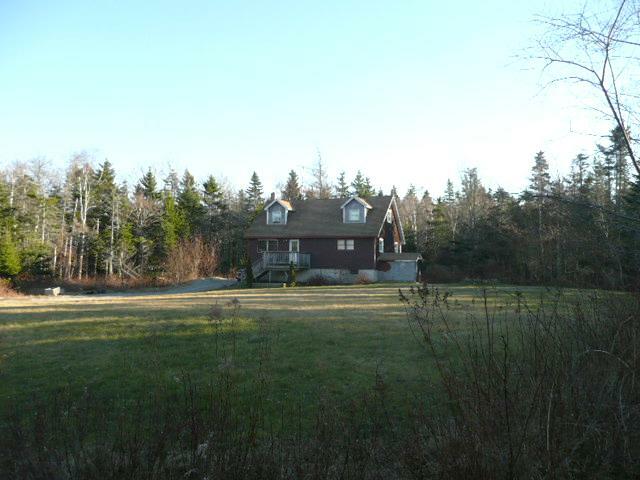 1/2 acre of land with town water & sewer, nice elevation & views of mountains & limited harbor views. 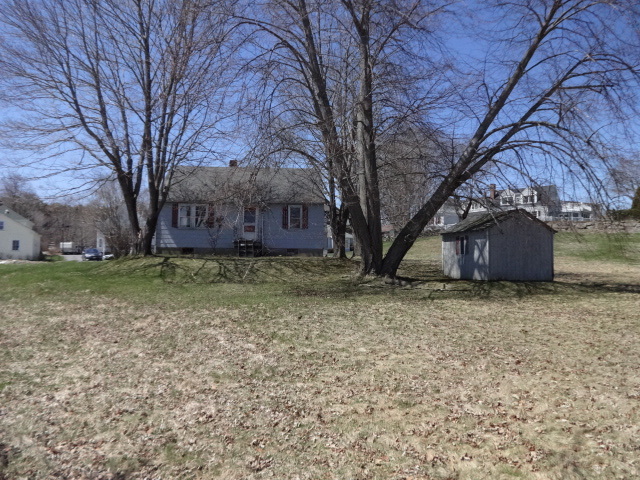 Modest home to improve or replace and two-story barn. 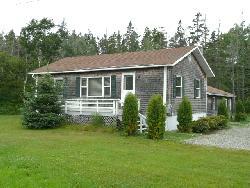 Convenient location close to downtown, Seawall, & Manset Shore. Spacious home with four bedrooms, two & a half baths on a hillside in Manset with filtered mountains & harbor views. 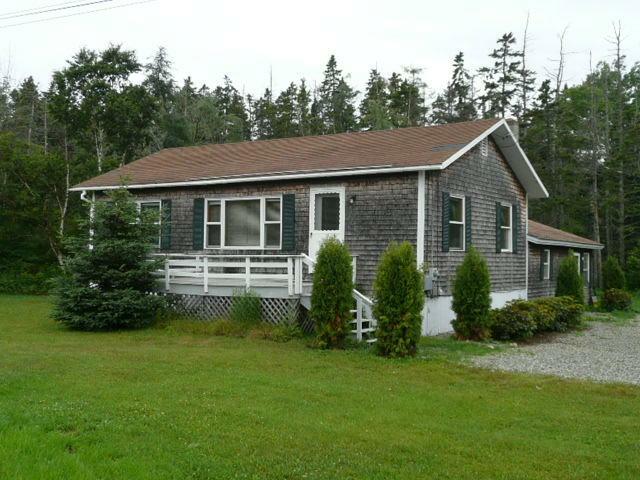 Convenient location close to downtown, Seawall, & Manset Shore. Elevated property providing Mt views & harbor glimpses. Close to downtown, Seawall, & the Manset Shore. 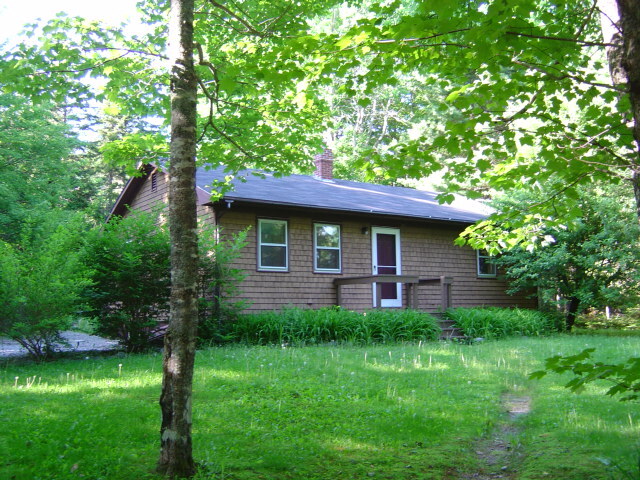 Three bedroom home tucked in the quiet woods of West Tremont. Private, custom built, with tile and hardwood floors. Spacious kitchen with dining area opposite a warm an inviting living room. Horses? three stall barn, holds 600 bails, paddock. 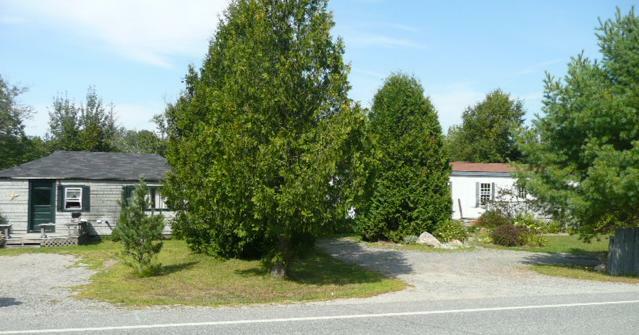 All with room to expand on this three acre parcel. Well maintained Rental home in move-in condition, cable internet, living room with cathedral ceiling, partly furnished, skylight, woodstove, barbeque grill on the deck off dining room, and a screened porch for relaxing after a day in the Park or at the pond. Long Pond is only 2/10 of a mile walk to access the fish-way for kayaking and fishing, and just 7/10 to the boat launch and swimming area at Ponds End. Beech Hill Farm is nearby for fresh vegetables in season. 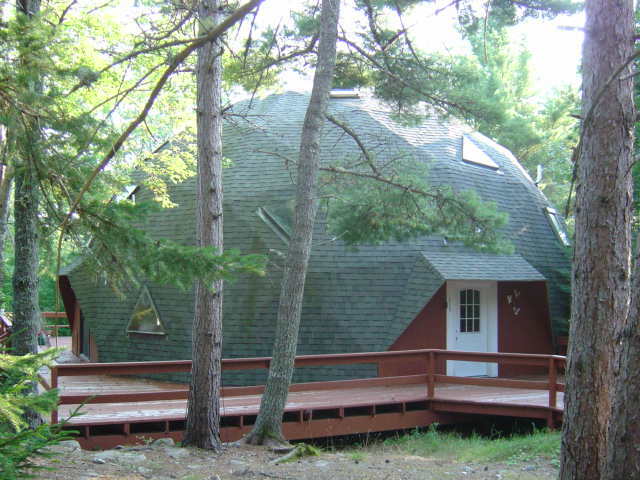 This passive solar home, tucked on a quiet wooded one acre parcel, is also ideal for year round residence. 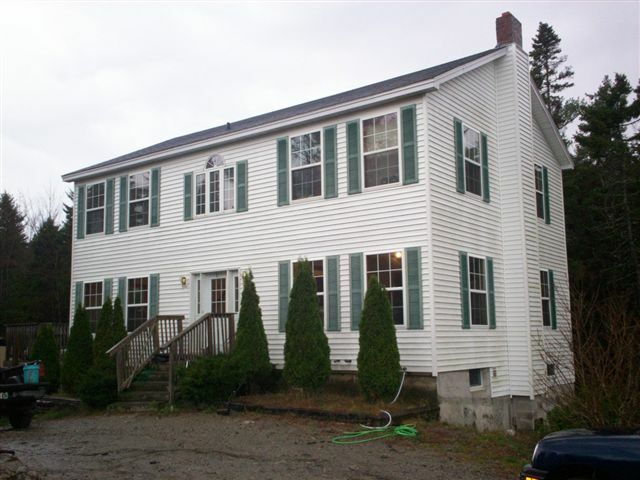 Three bedroom house in the heart of downtown Bar Harbor. The first floor has a living room, family room, dining room, kitchen, bath with shower & laundry. Upstairs are three bedrooms (one is a walkthrough) and a full bath. Outside is a covered front porch, a small rear deck and a bit of yard space. Easy walk to shops, dining, Village Green, the Island Explorer, and the ocean. 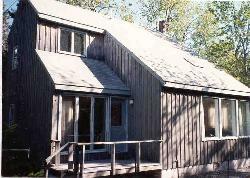 Current permit allows Vacation Rental without owner occupancy. 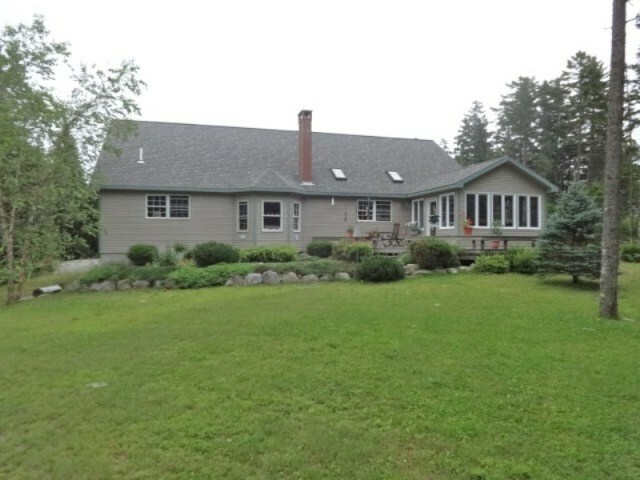 Great elevation, fabulous mountain views of Cadillac, Youngs, and McFarland. Recently remodeled and updated to include new bamboo floors. Large stone fireplace, two bedrooms plus a loft sleeping area, mountain view deck, ledge outcroppings with blueberries galore. 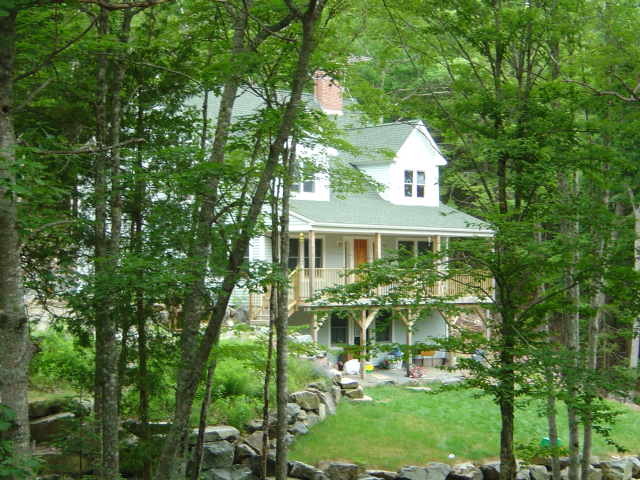 0.28 acres owned but 20+ shared acres in this community, with trails to Aunt Betty's Pond. STOP PAYING RENT!!!! BUY TODAY!!! The perfect property for the first time home buyer. 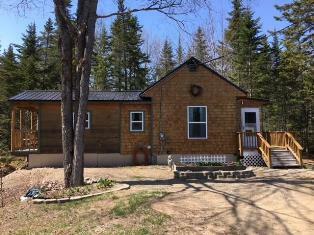 Affordable, great location, good neighborhood and close to Acadia National Park. Spacious four bedroom home waiting for love and attention. Don't wait call today. Wooded privacy from the road, further into this 2.78 acre property you will discover openness and sunlight that envelop this stylish three bedroom, two bath home. 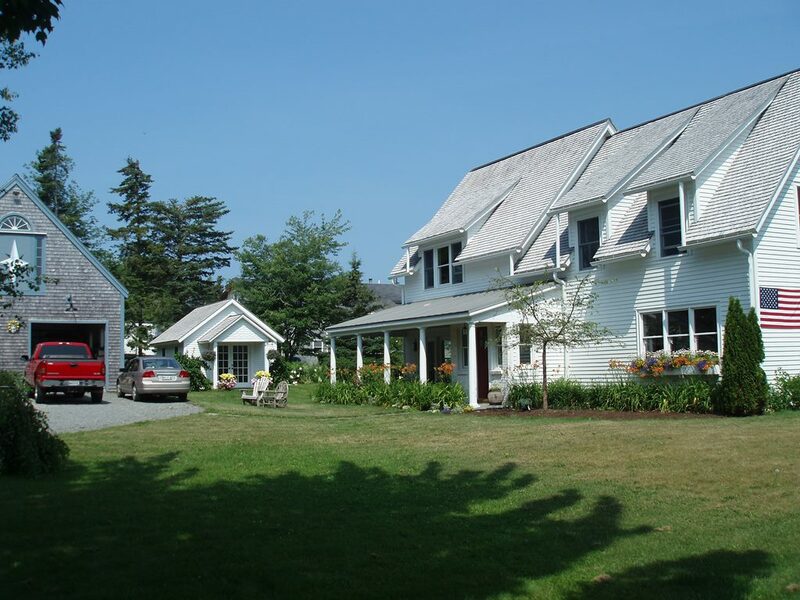 The ideal location makes it convenient to Bar Harbor, Southwest Harbor and Ellsworth. Quality custom built 3 bedroom home. Tastefully decorated with granite countertops,black face appliances, butcherblock island for cooking with adjacent diningroom.Cozy livingroom with gas fireplace. Mastersuite has tiled walk in shower and whirlpool tub. Roomy home with large eat-in kitchen, living room, bath, laundry room, and a bedroom perfect for a home office. Plus three bedrooms and a full bath upstairs. 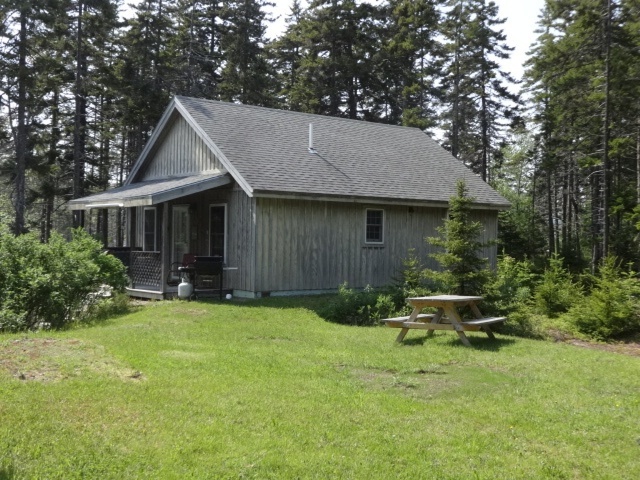 There are two outbuildings, a two car garage, and a large one car garage great for the canoe that you can launch right next door in Northeast Creek. 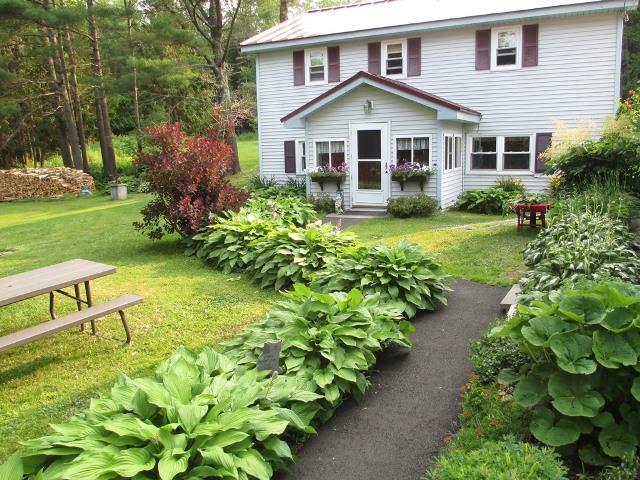 Great yard space, and abutting conversation land. Possible price reduction for work force housing in exchange for deed covenant. Enjoy beautiful views of Somes Sound and Parkman Mountain from this cozy three bedroom cottage with screened in porch and large open deck all in a very private setting. 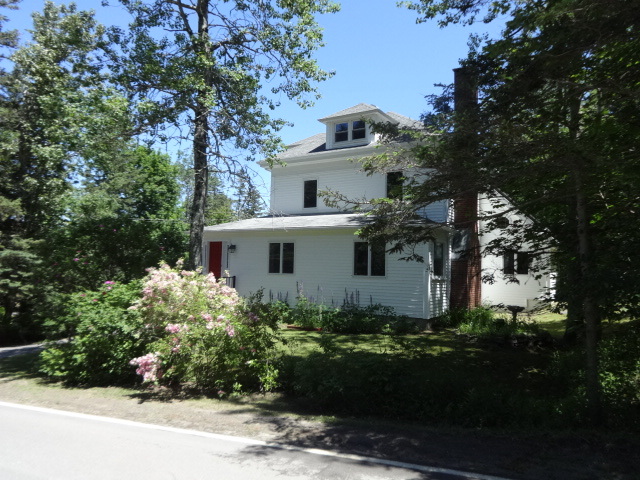 Abutting 1.13 acres available. Set back off the road is this little getaway in Manset, just a short walk to the town pier. Yard space, kitchen being redone, newer furnace. 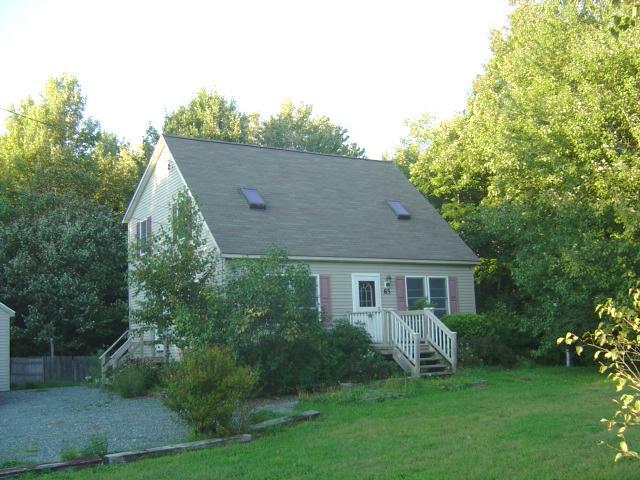 15 wooded acres within a stones throw of Long Pond. Existing rustic camp with gorgeous stone fireplace. 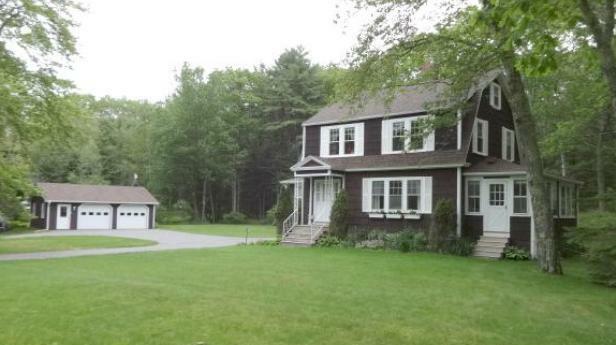 Property completely surrounded by Acadia National Park. Beautiful walking/hiking trails on property. 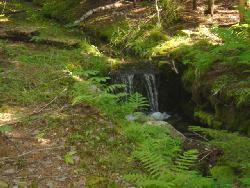 Relax to sound of water flowing thru the granite lined fishway. 30 year old "Camp" on 6.6 acres. Camp needs major work or replacement. Priced $70,000 below town assessment! Driveway & power to camp. Well & septic on site being checked. Great mid-island location. Privacy or division. A charming victorian four bedroom home. Attached apartment in the renovated barn adds a fifth bedroom. Sunny kitchen w/window seat, living room w/built-ins and fireplace, covered front porch, and inviting gardens all add to the allure. 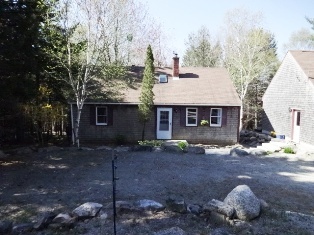 Great rental history & close to Acadia. Inviting interior colors, an exterior that blends harmoniously into its natural environment. A spacious home in a sought after conservation-minded neighborhood in a central location. Gorgeous new master suite over attached garage. 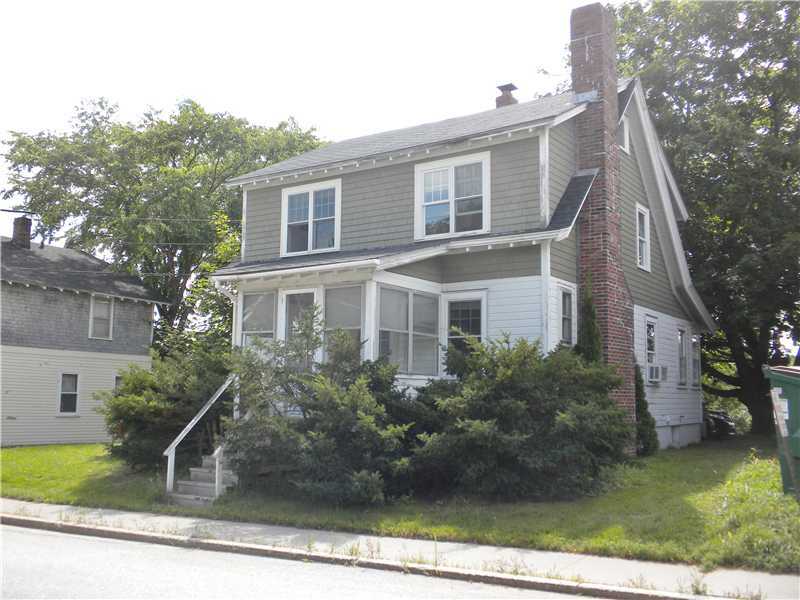 Like new, roomy, four bedroom two and a half bath home. Eat-in kitchen opens to screened porch and back deck, sun filled dining room, living room, den, large master bedroom with master bath, full basement, attached oversized two car garage with storage or studio space above. 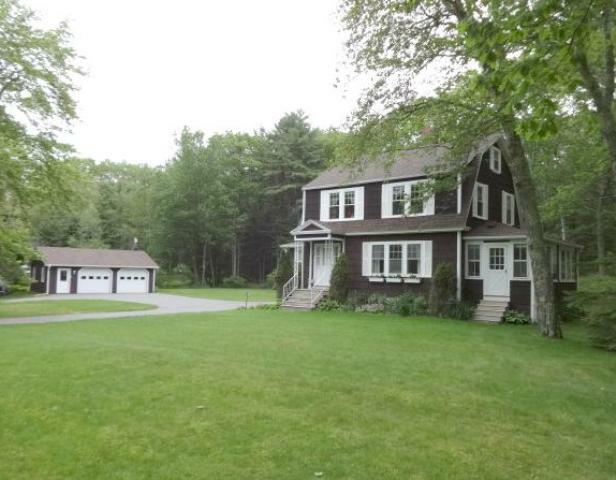 Nice wooded setting, yard space, paved driveway. Located in the village of Bernard this duplex offers either conversion to a 3 bedroom home or living in one half and rent the other half. This building is one of 2 that make up the Harbor Way Condos. 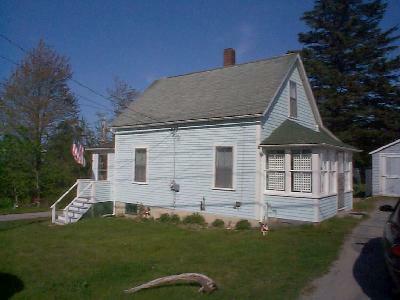 Short distance to the harbor, beach, & post office. Newly renovated.